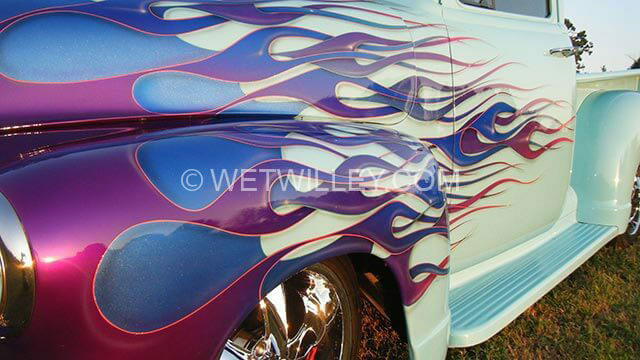 Wet Willey Design has won more than 500 local and national Best Paint & Graphics awards, and Wet Willey is the only painter in the world to win 11 consecutive House of Kolor Prestigious Painter of the Year awards. 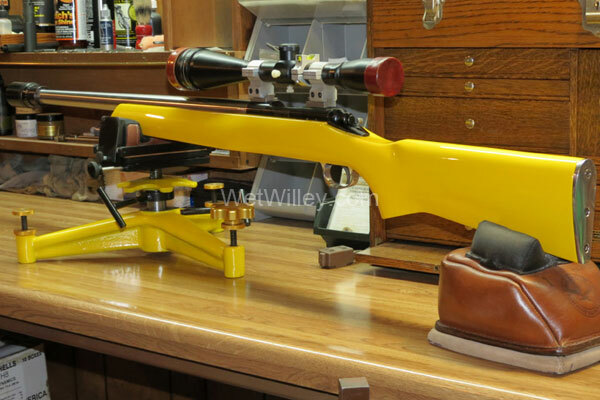 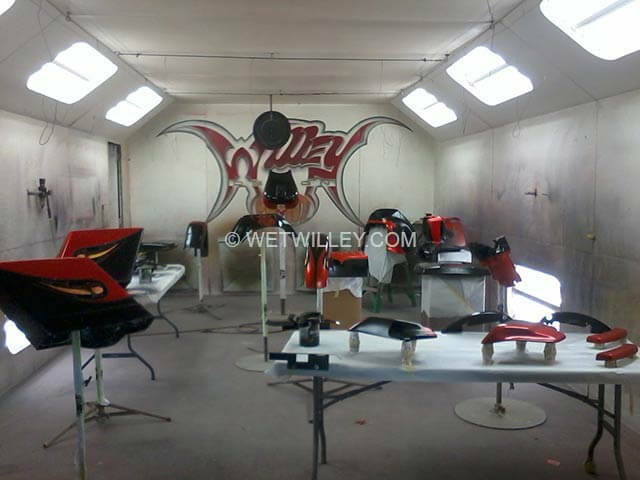 A view from the Wet Willey Design paint booth. 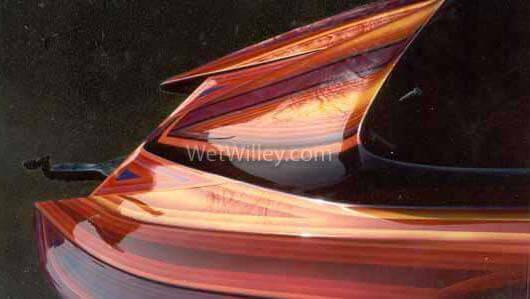 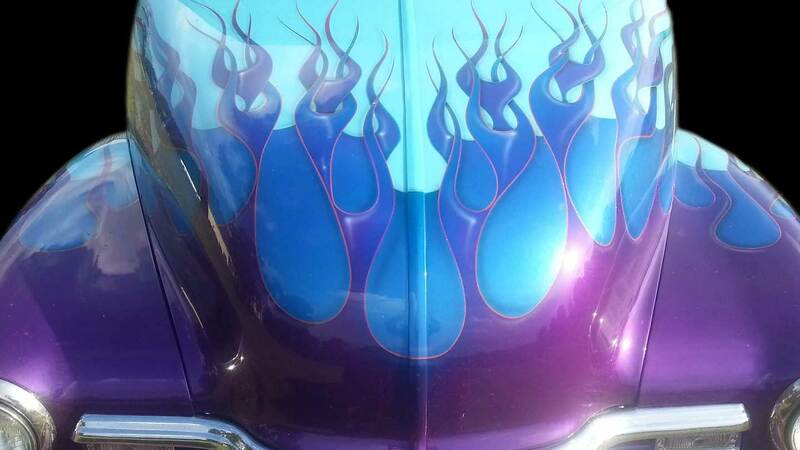 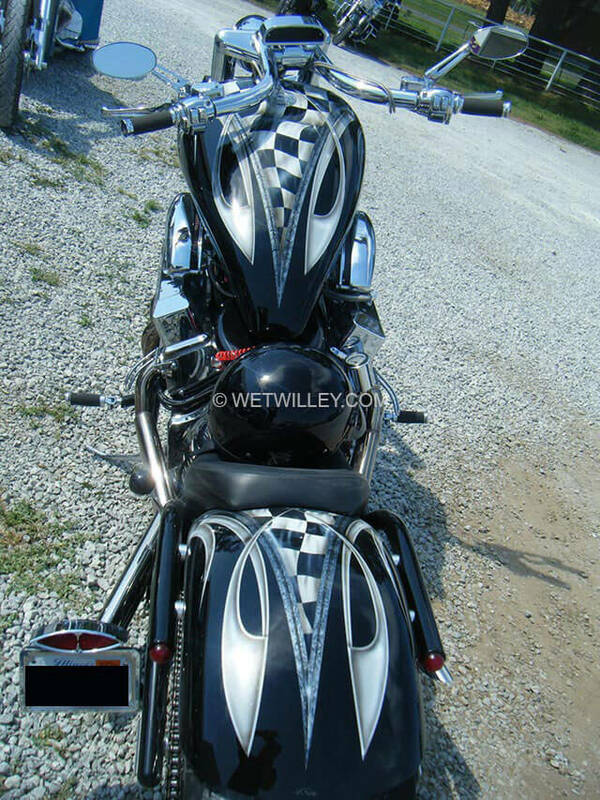 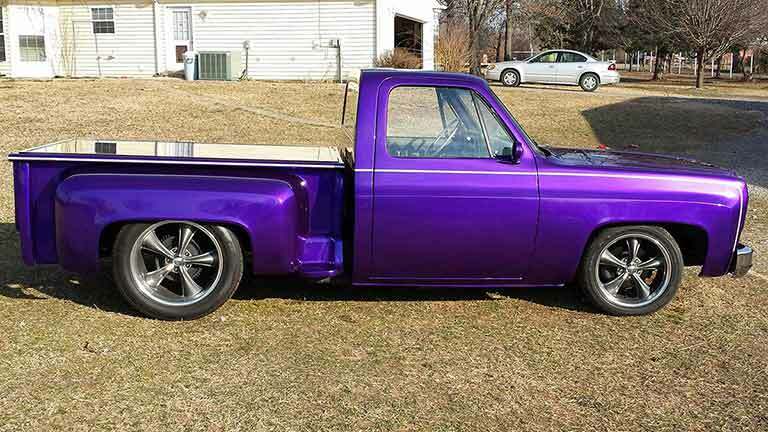 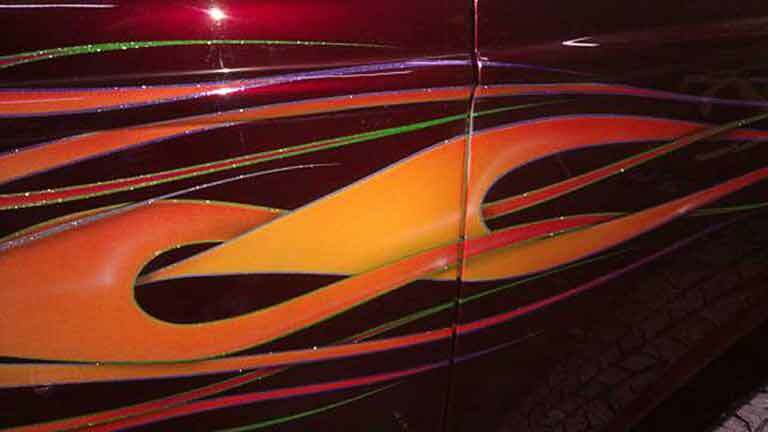 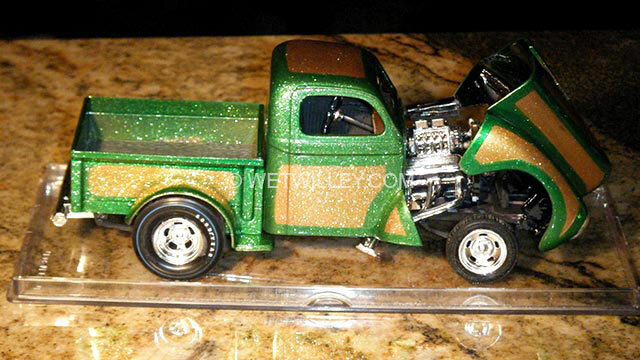 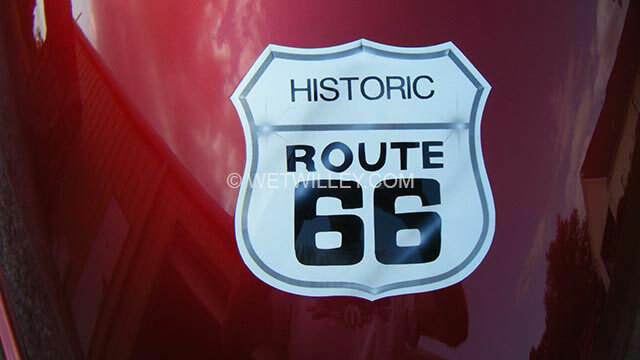 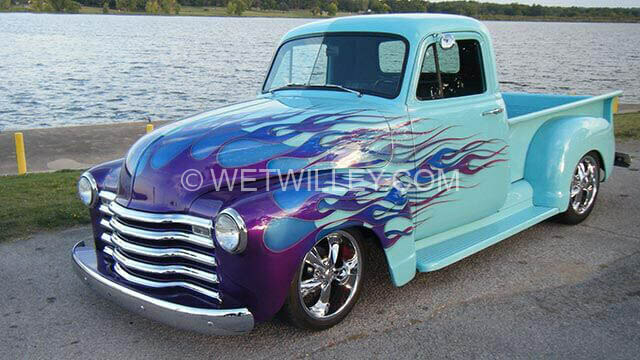 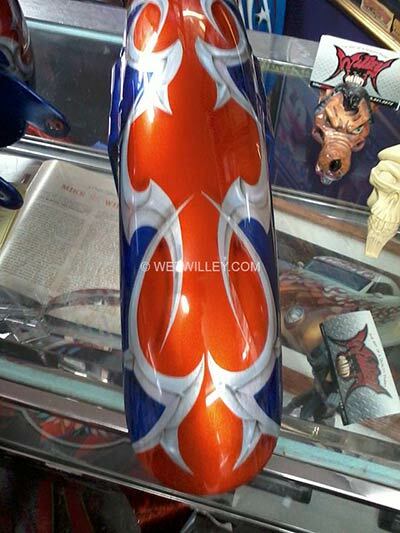 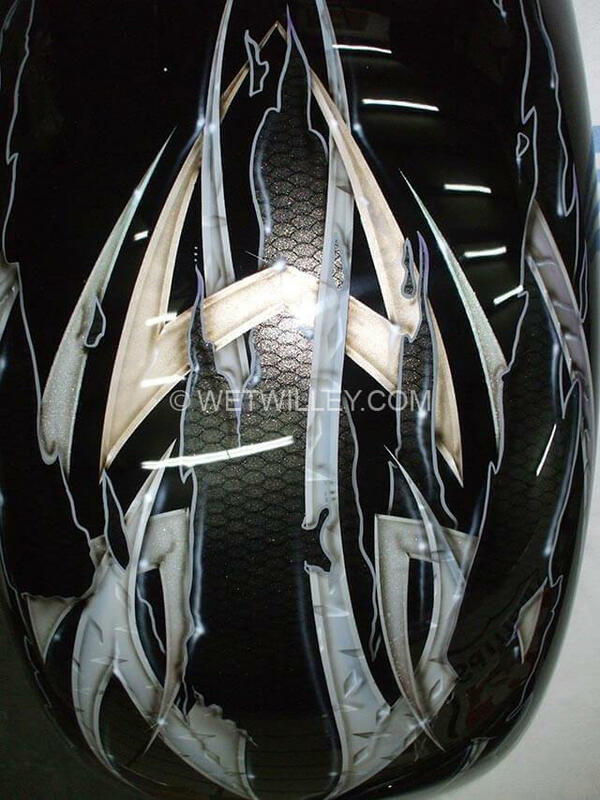 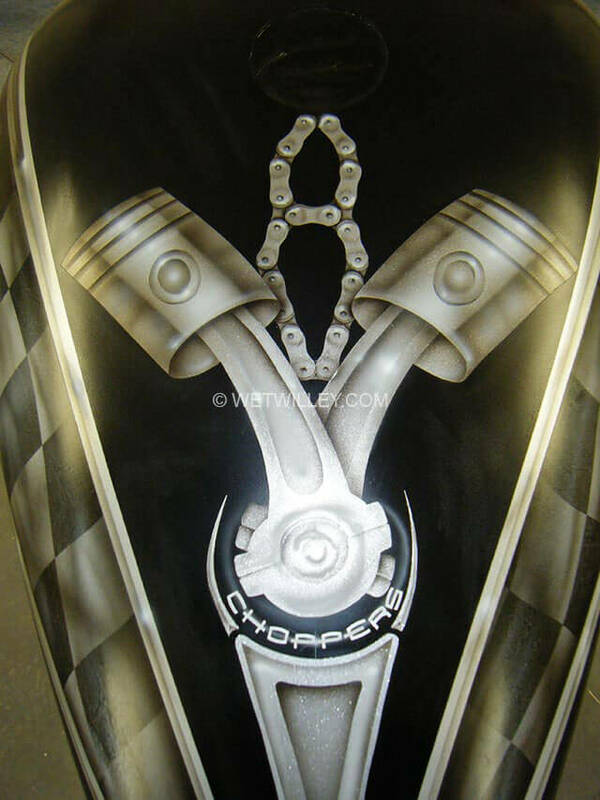 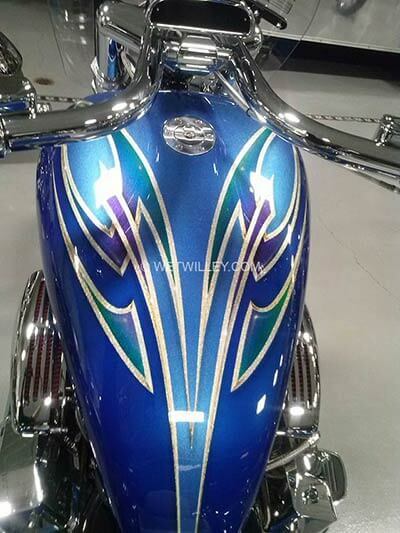 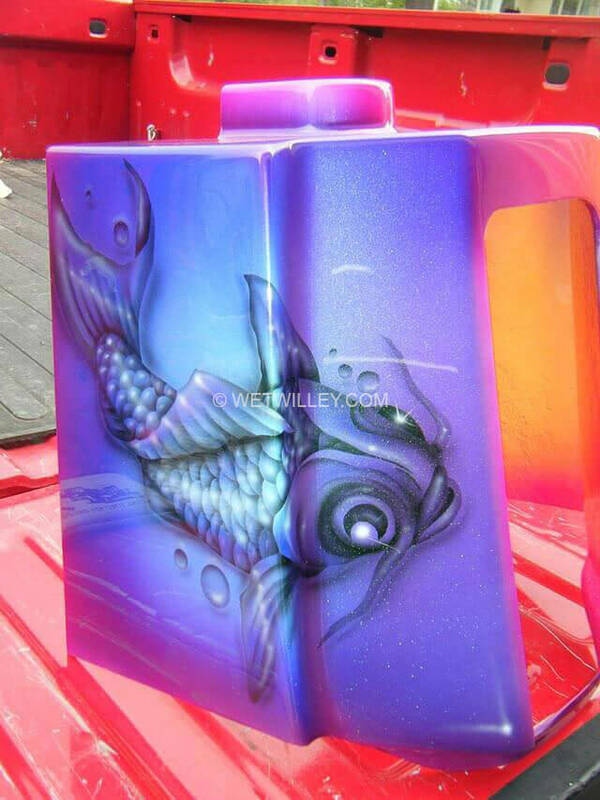 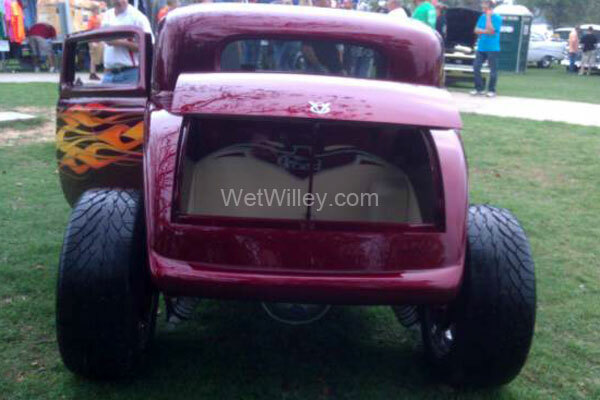 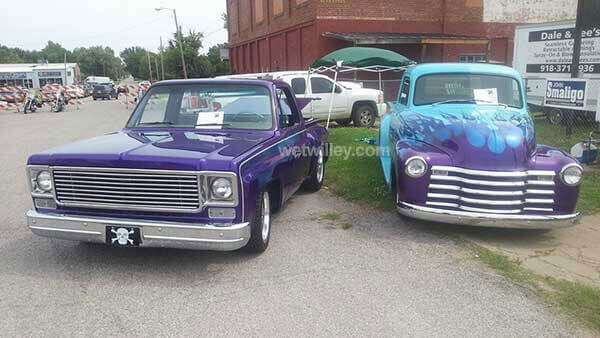 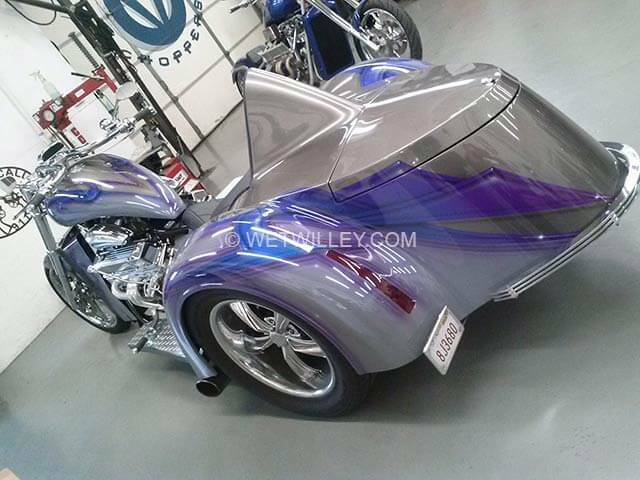 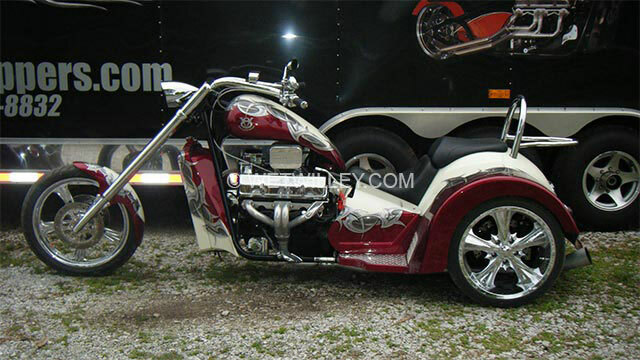 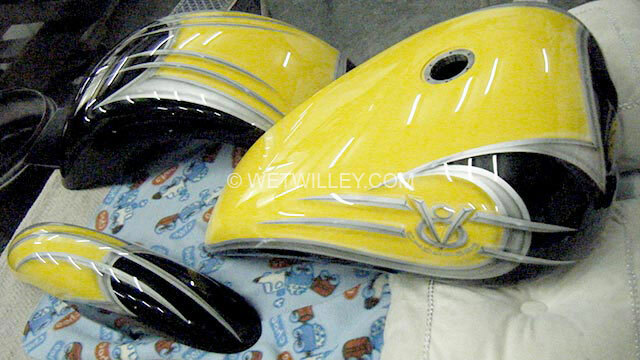 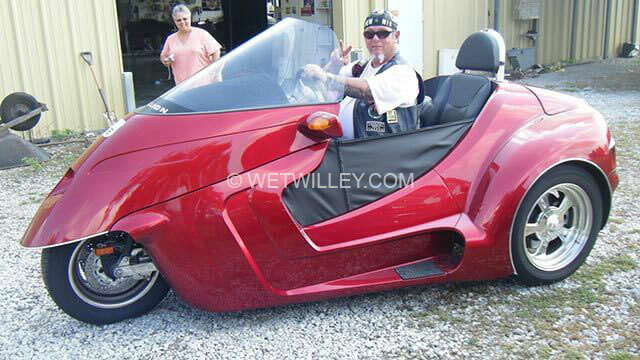 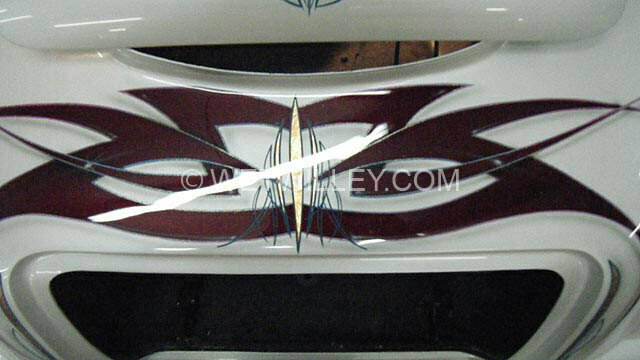 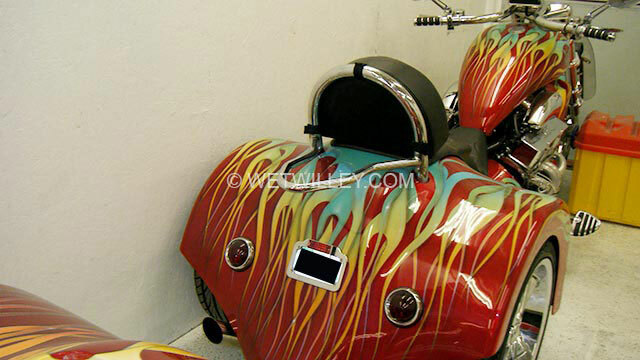 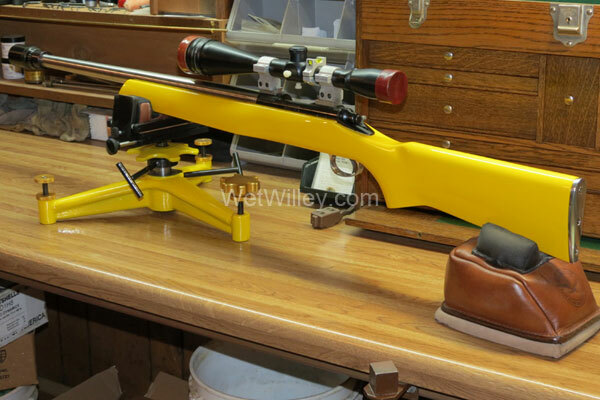 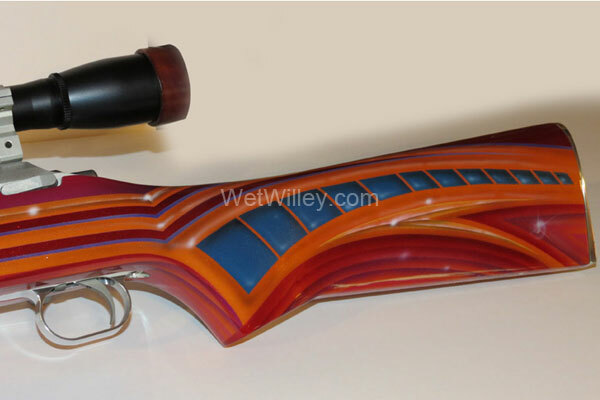 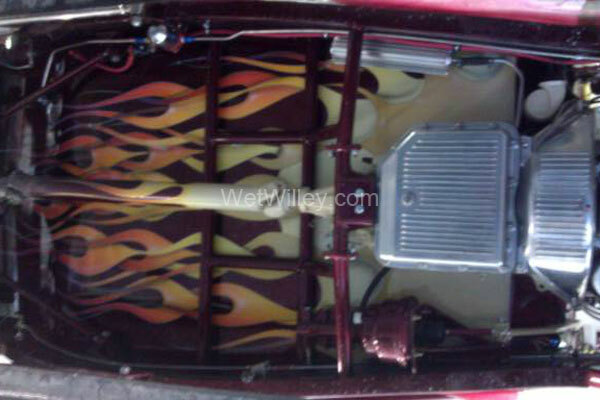 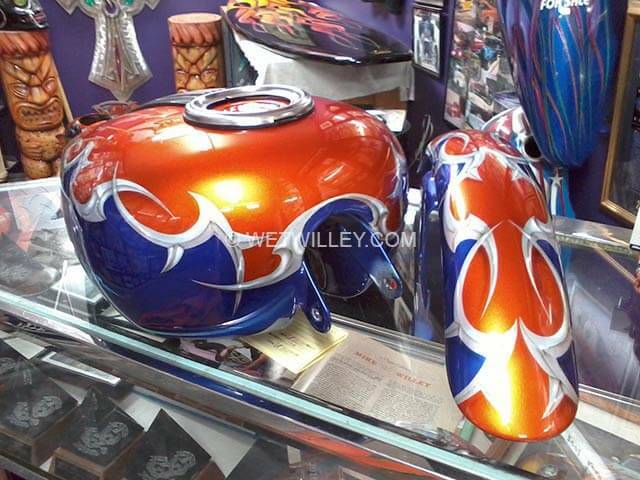 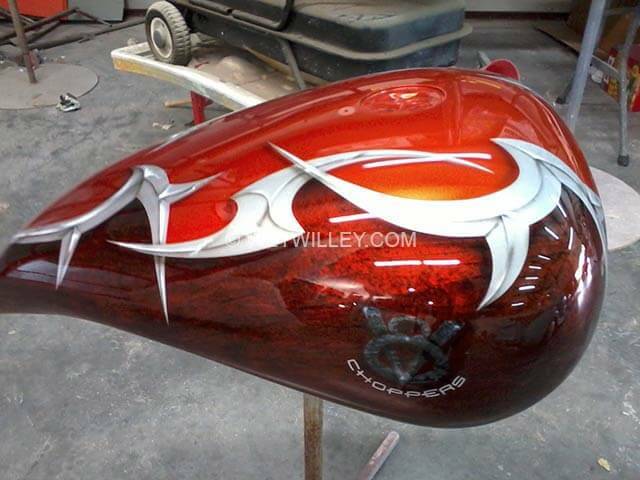 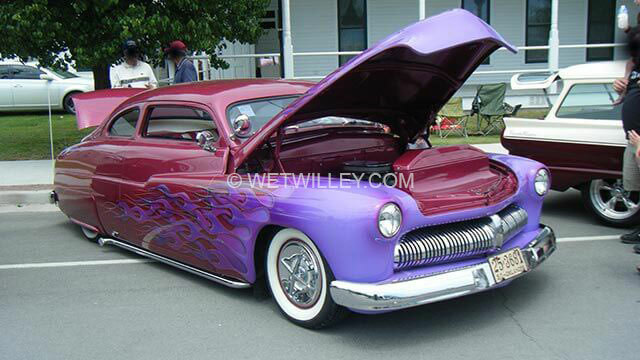 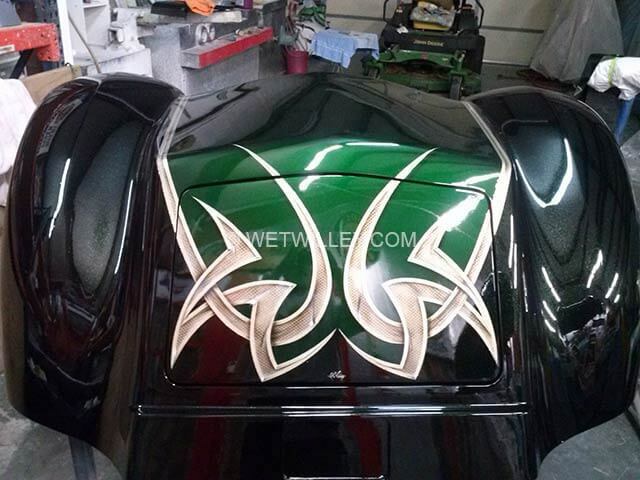 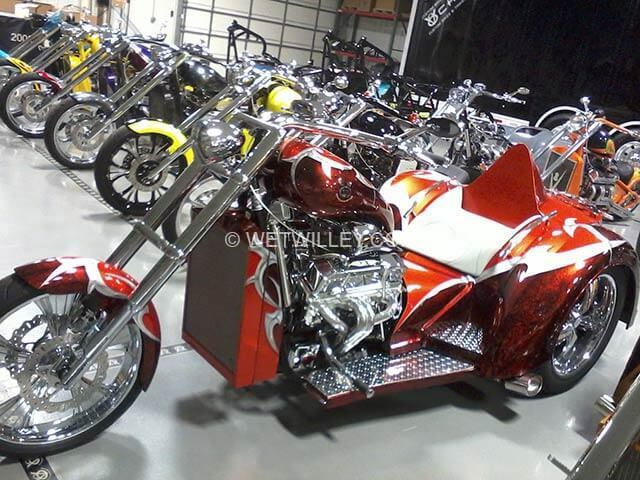 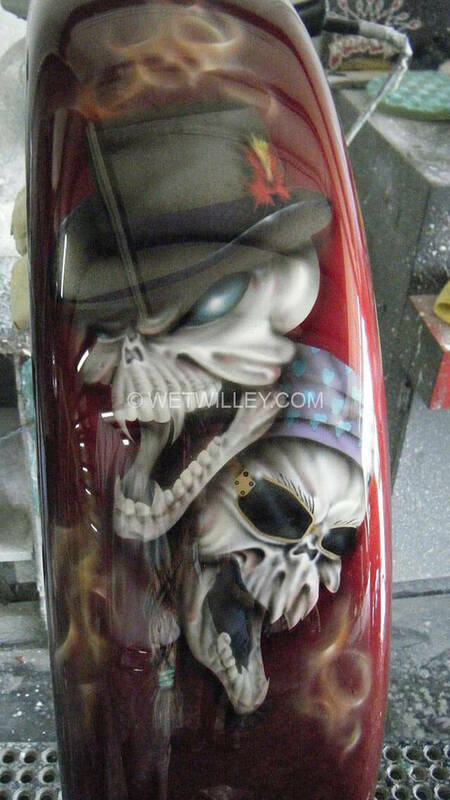 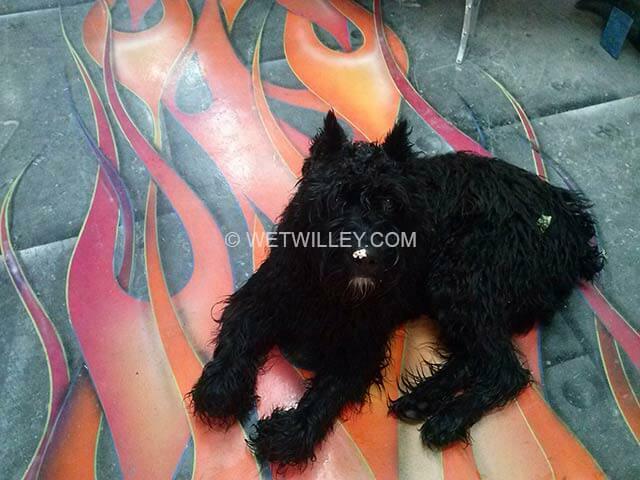 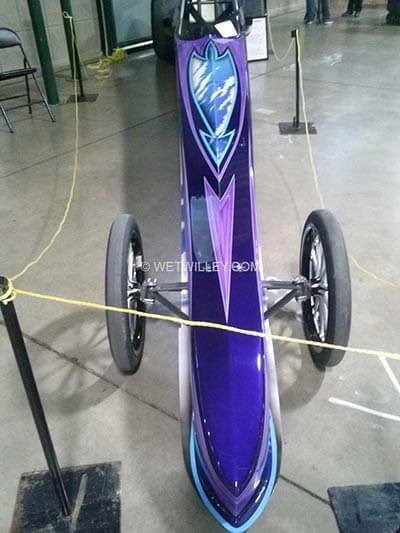 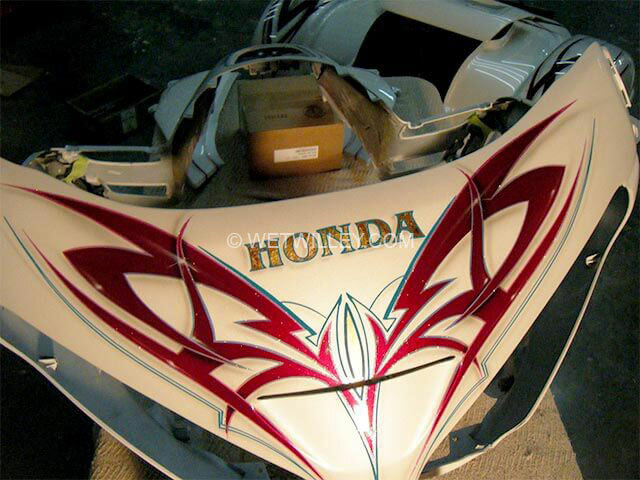 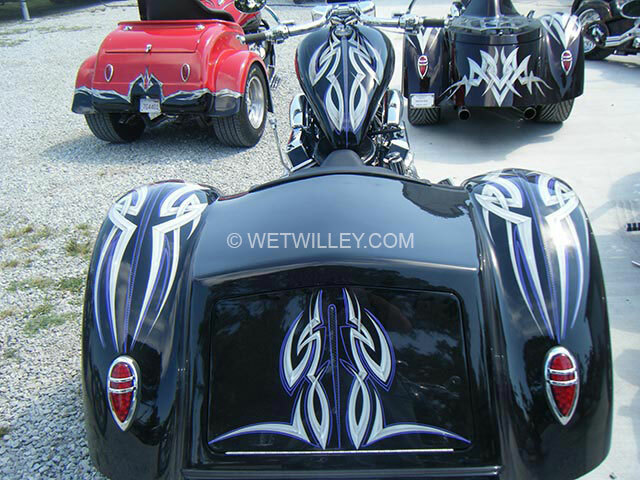 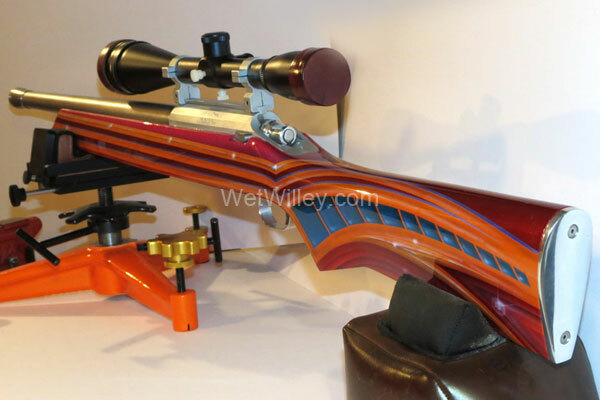 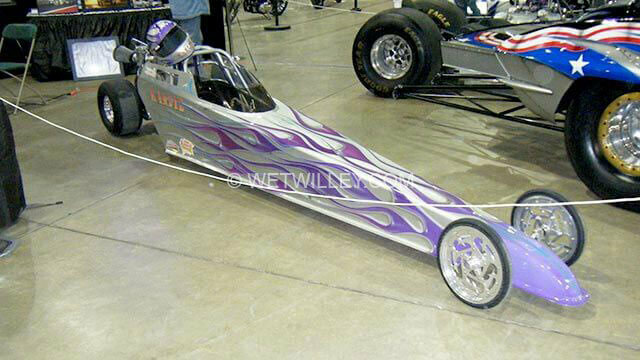 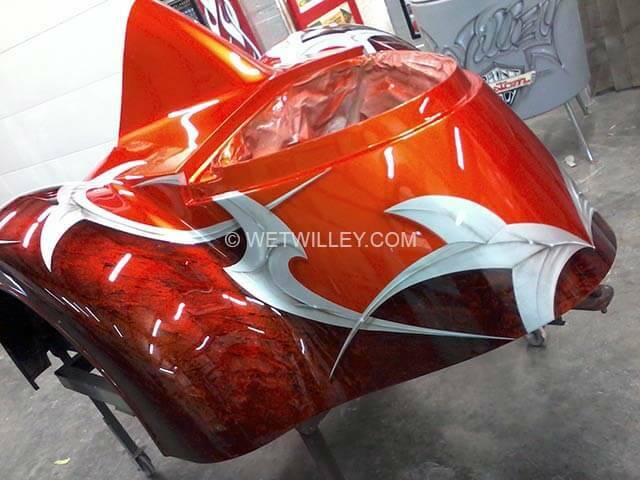 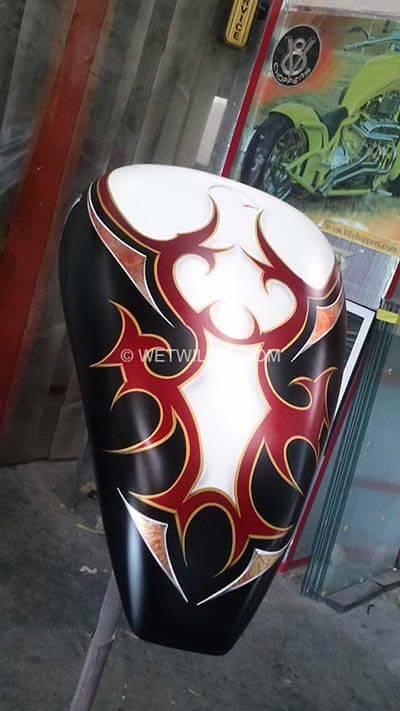 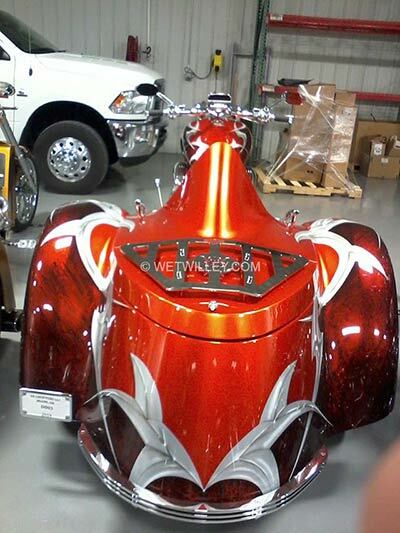 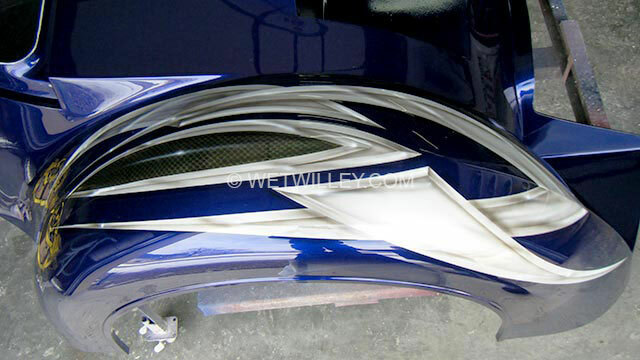 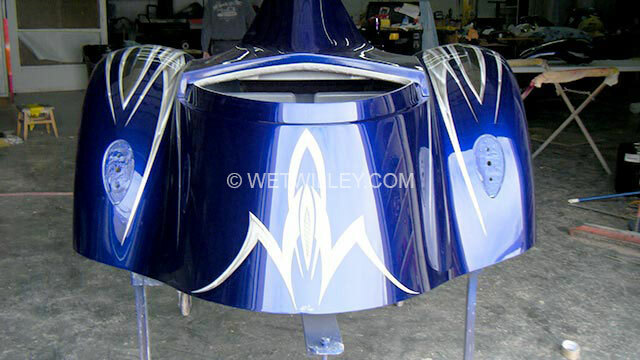 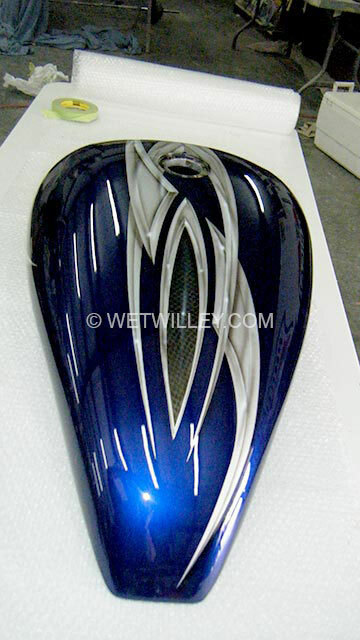 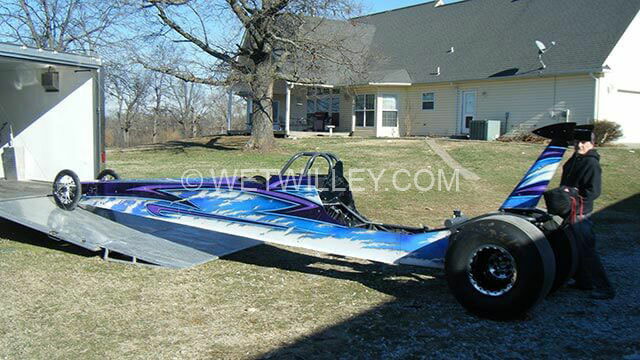 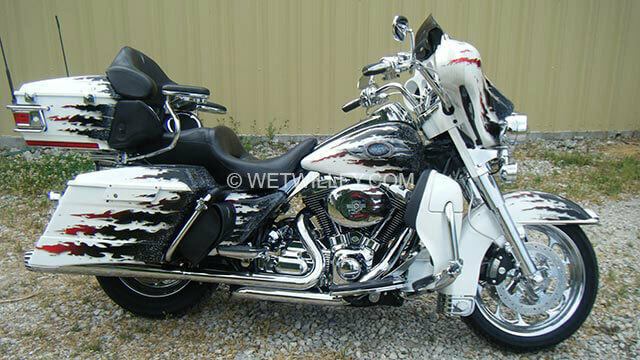 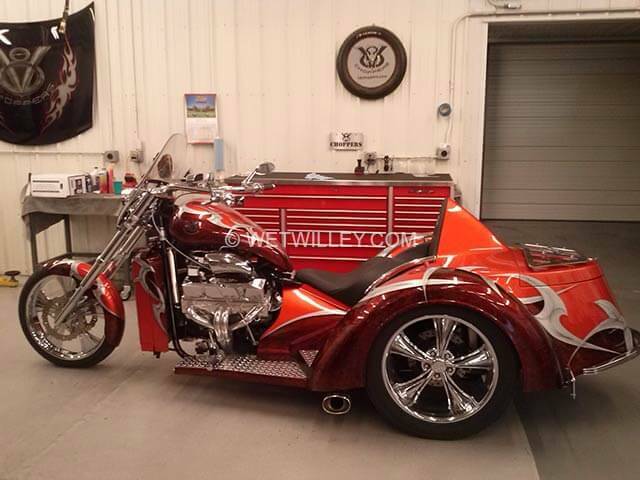 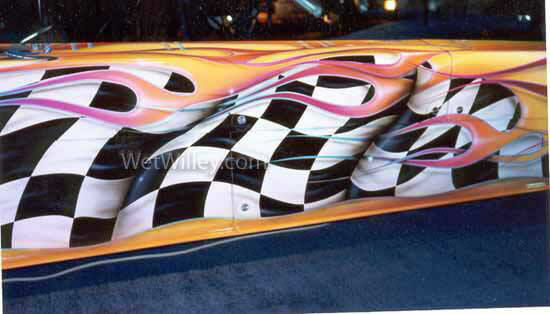 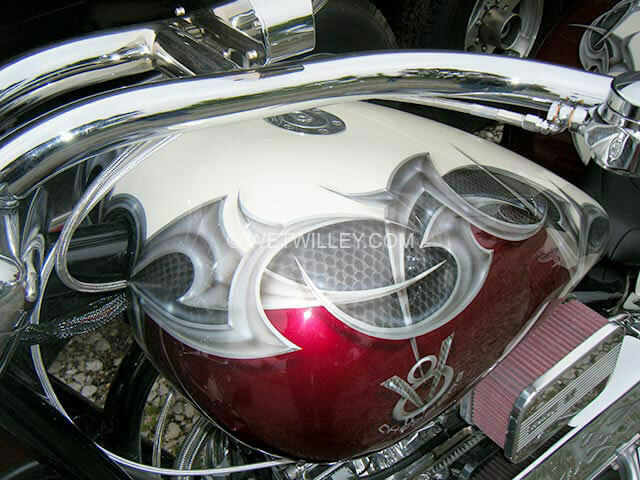 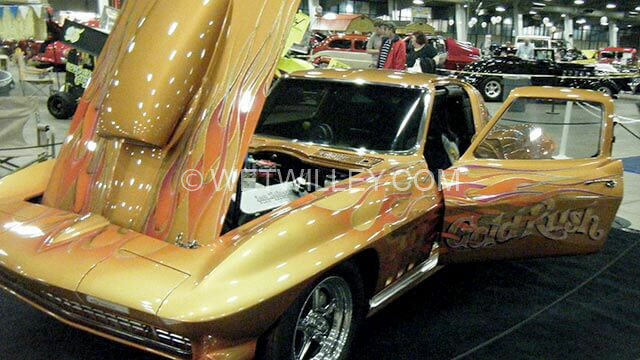 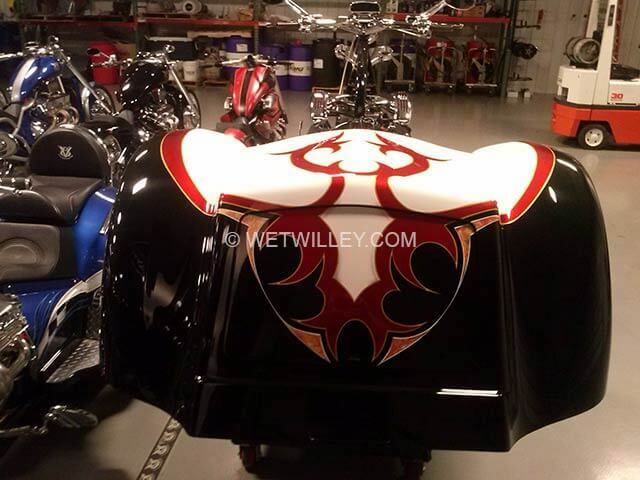 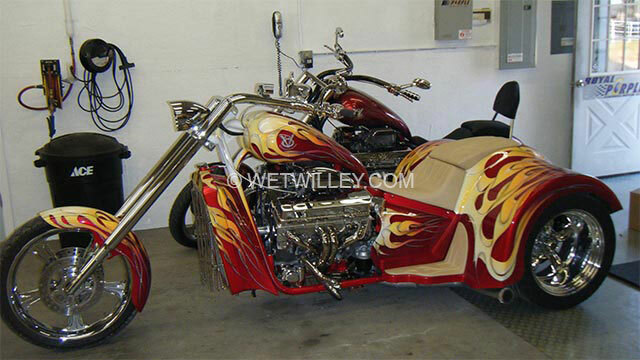 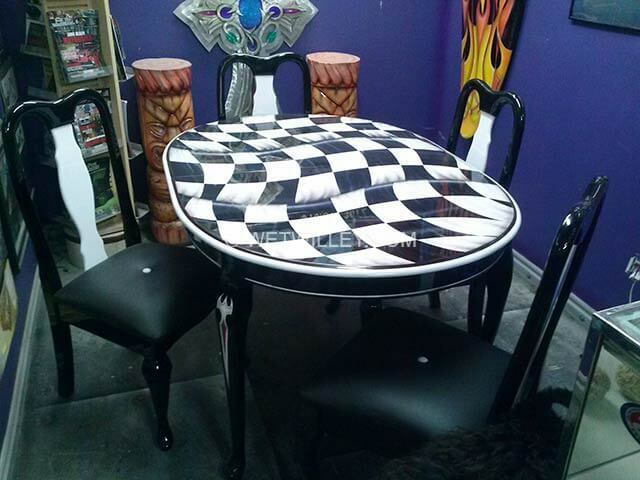 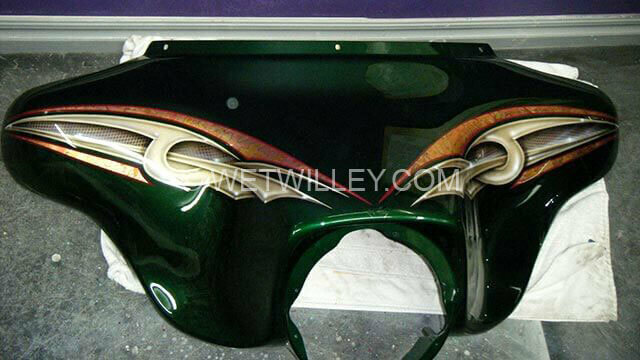 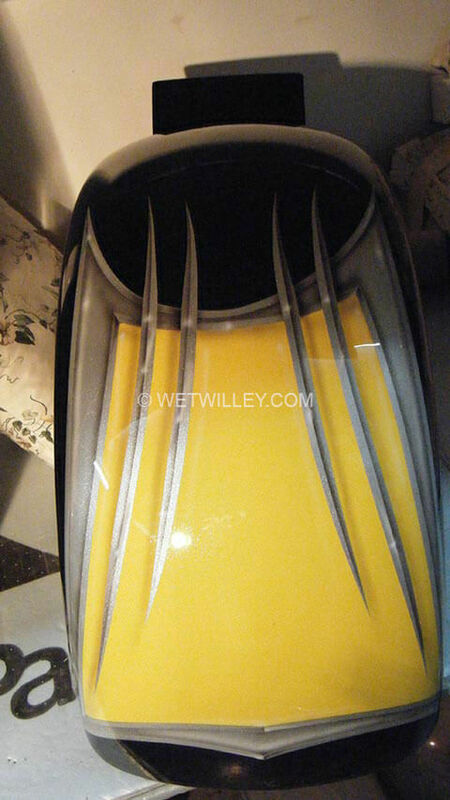 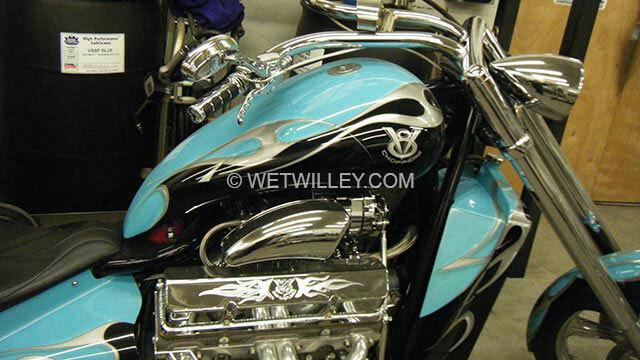 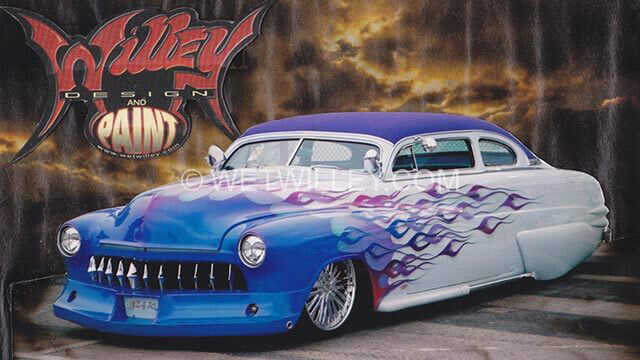 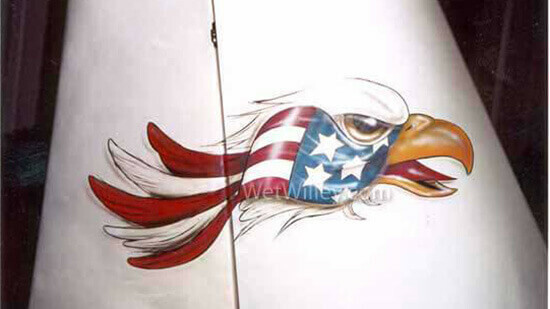 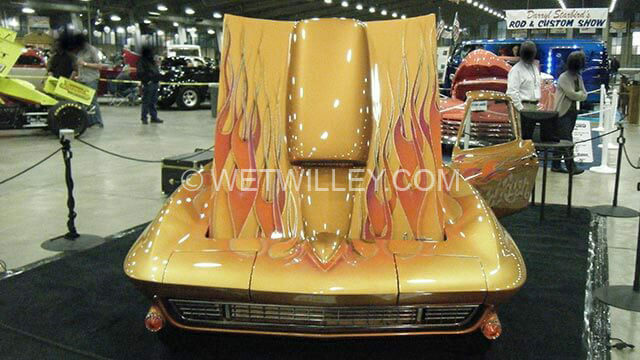 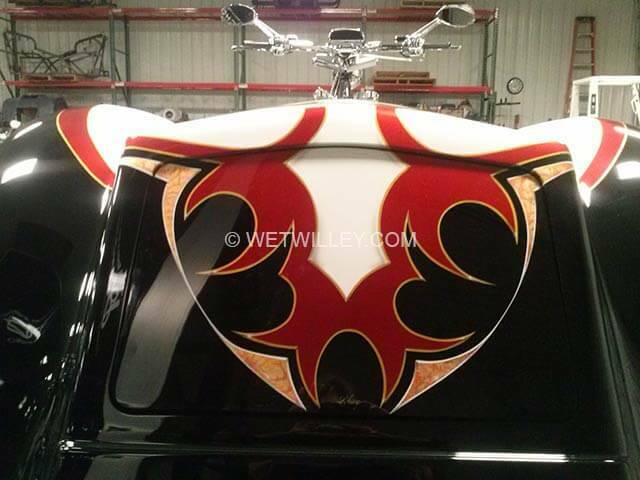 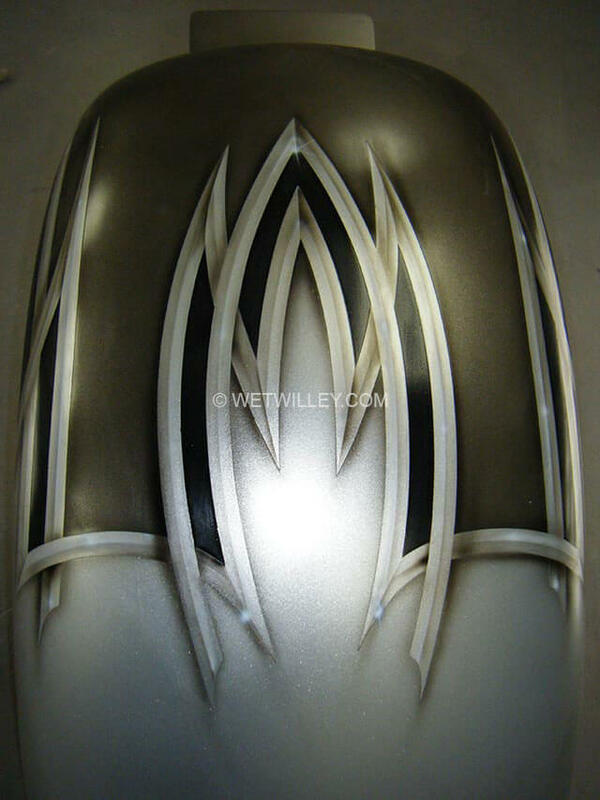 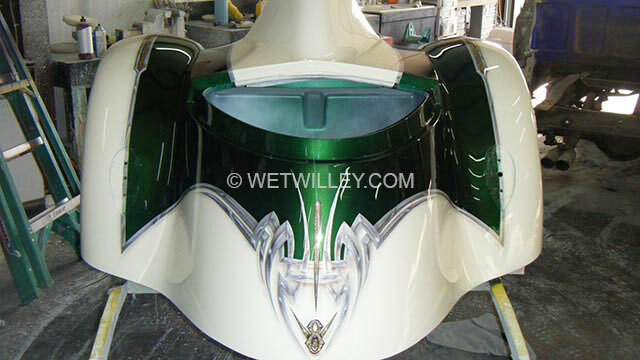 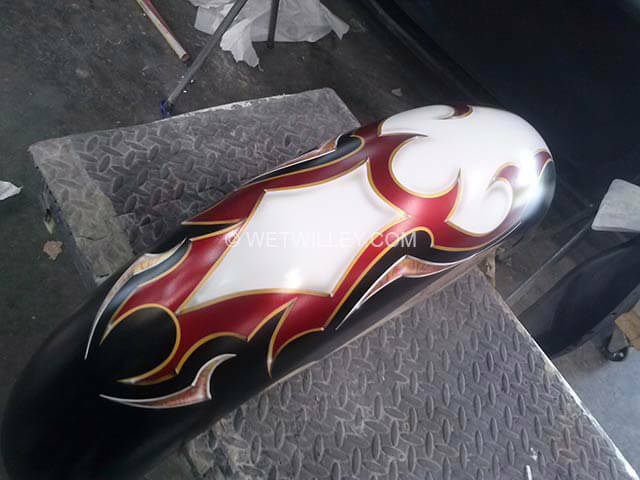 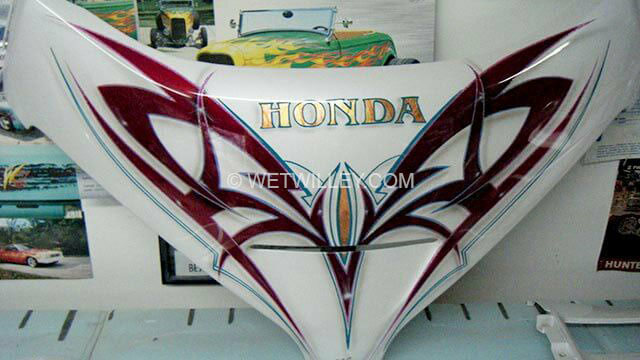 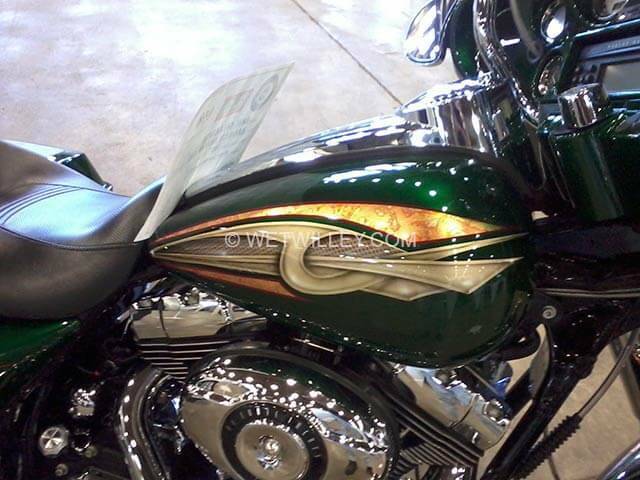 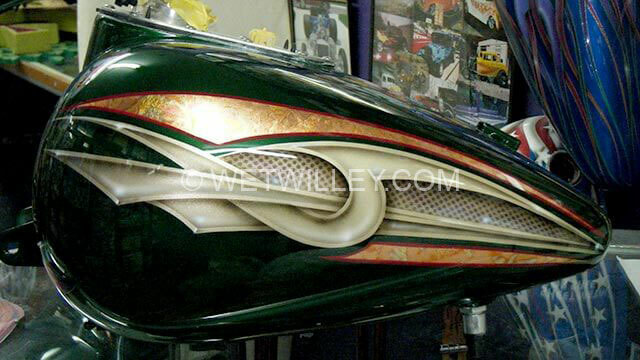 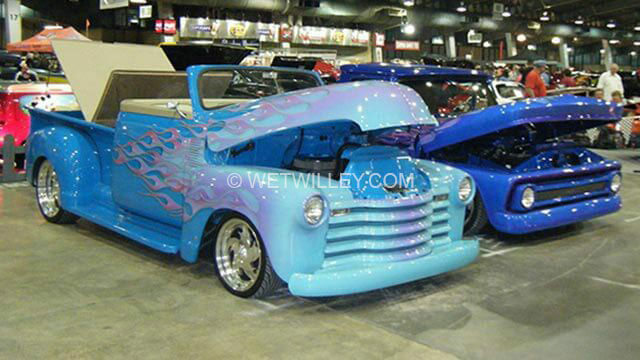 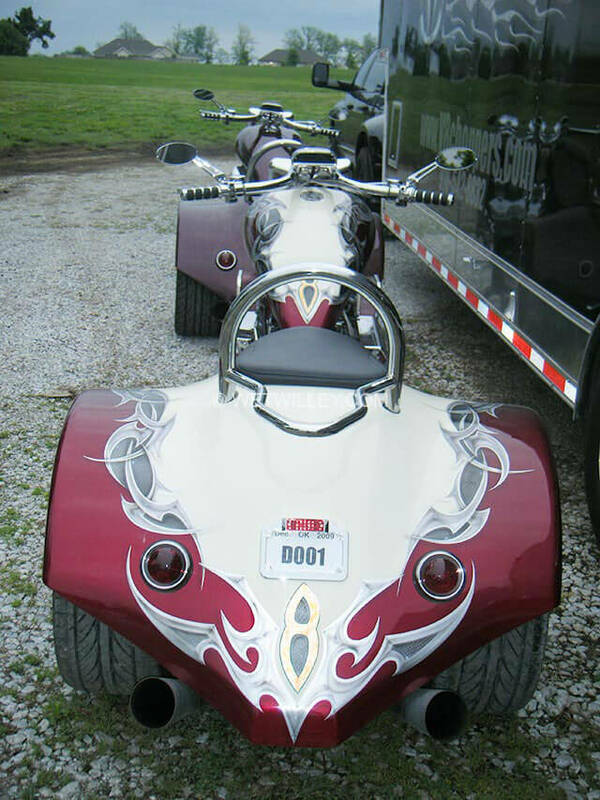 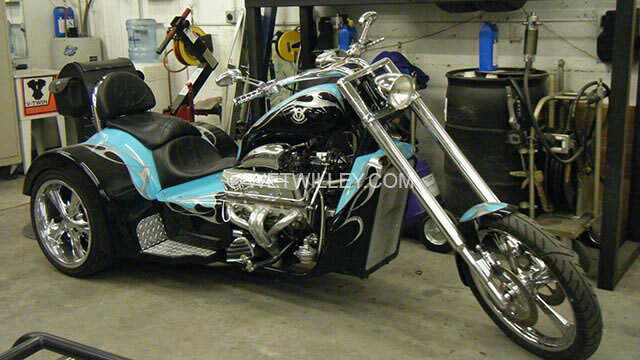 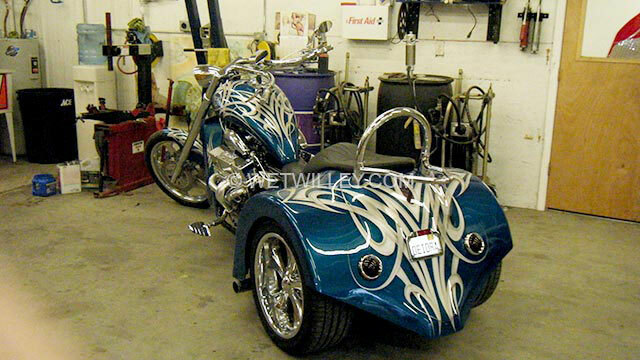 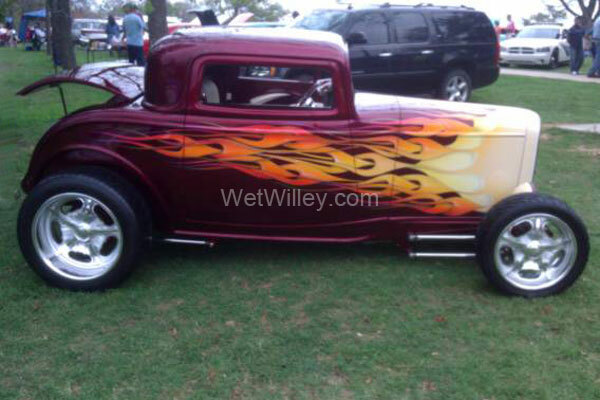 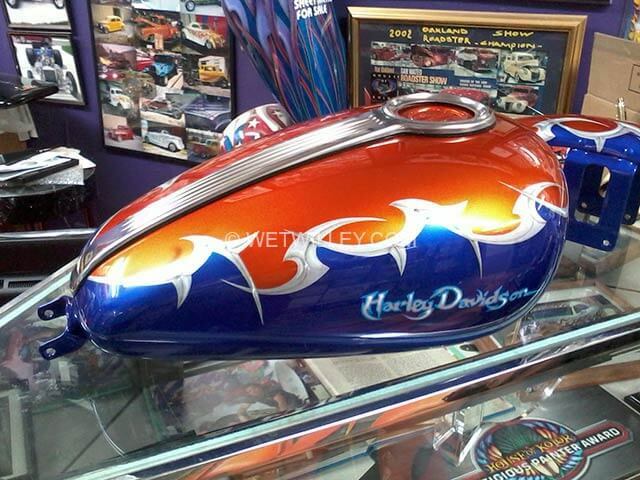 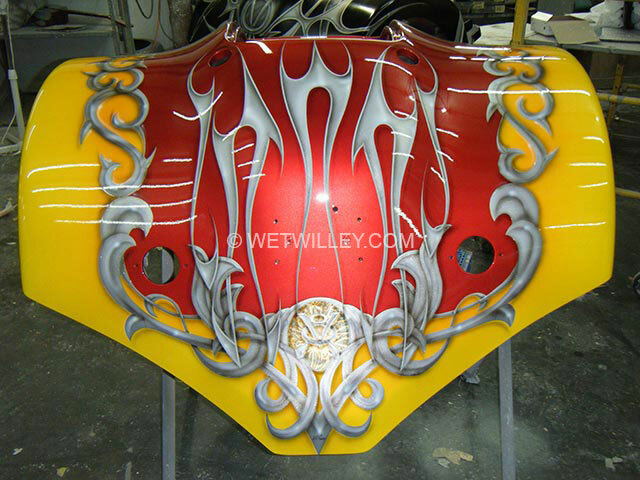 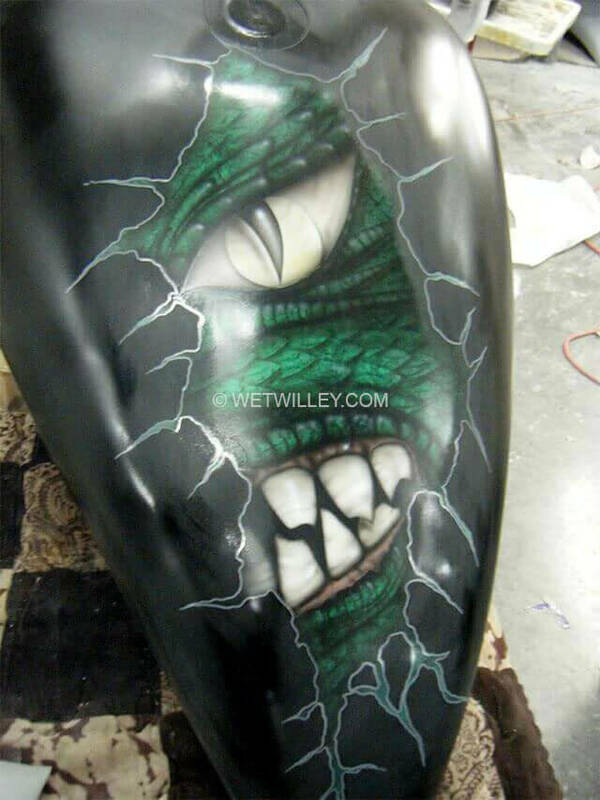 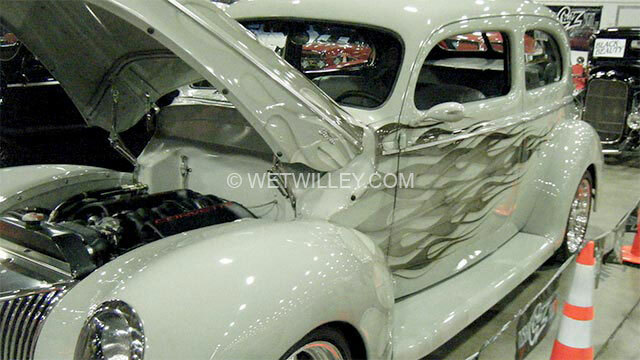 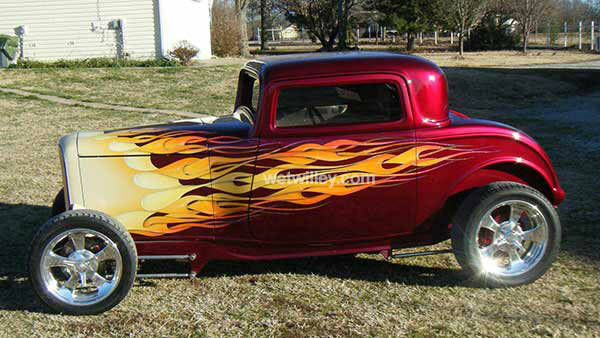 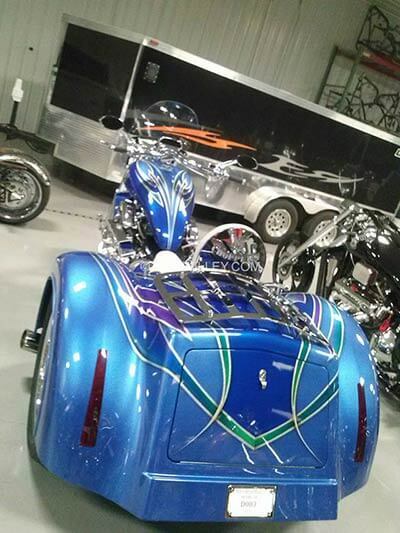 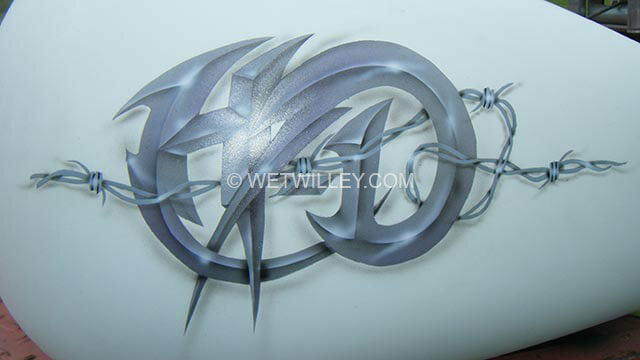 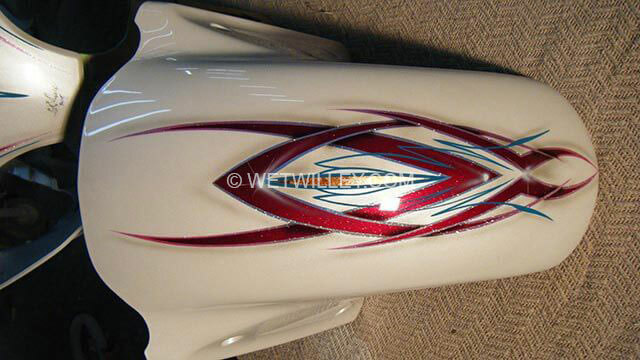 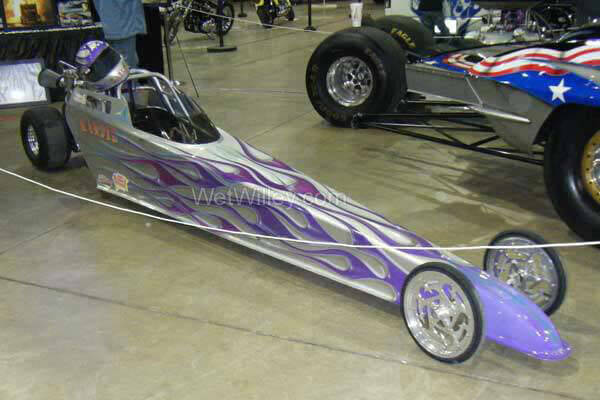 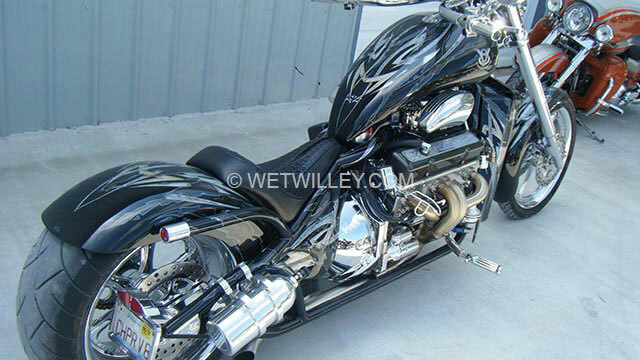 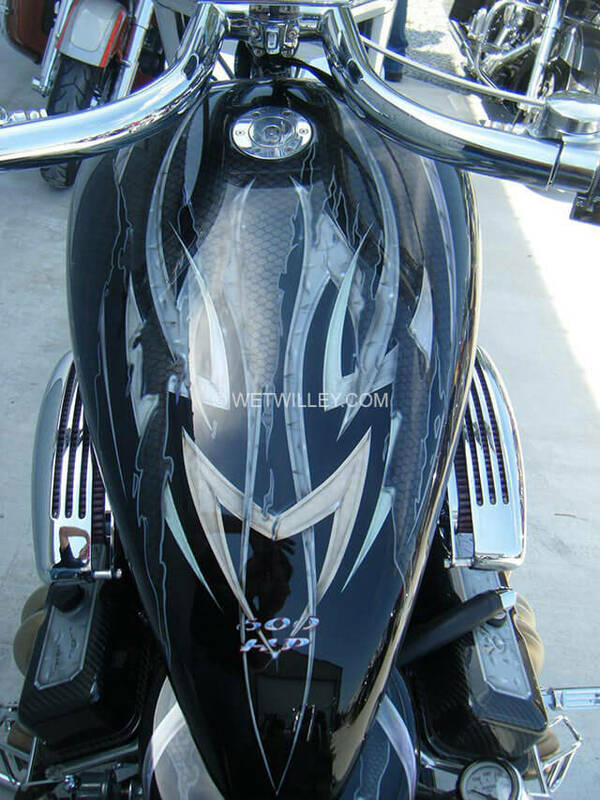 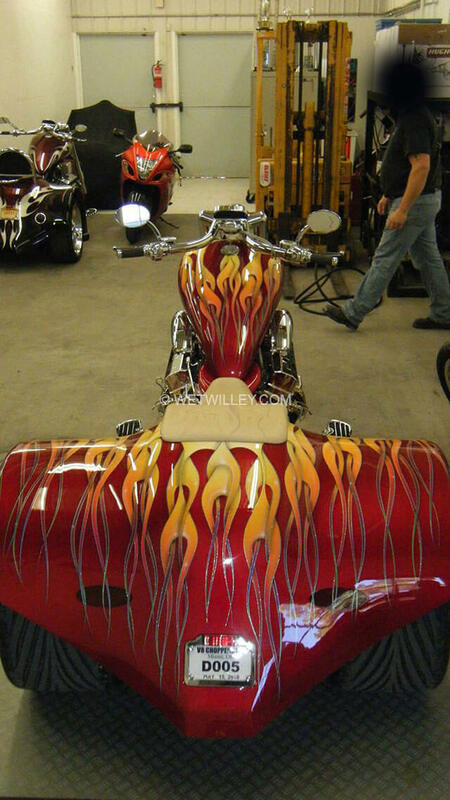 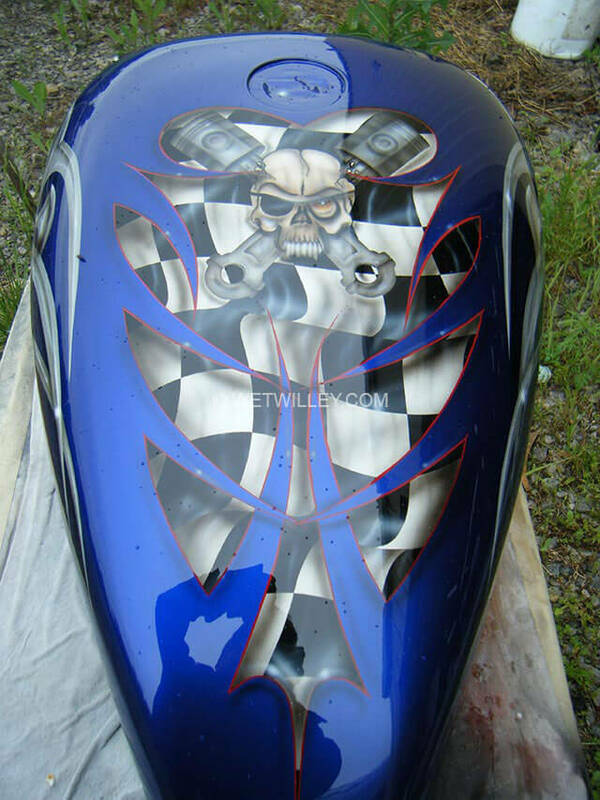 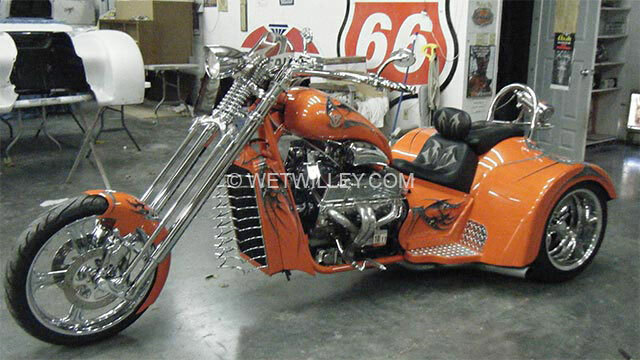 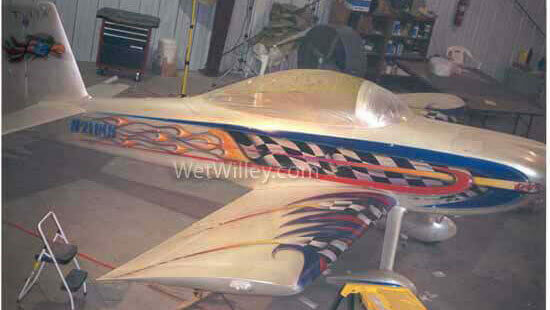 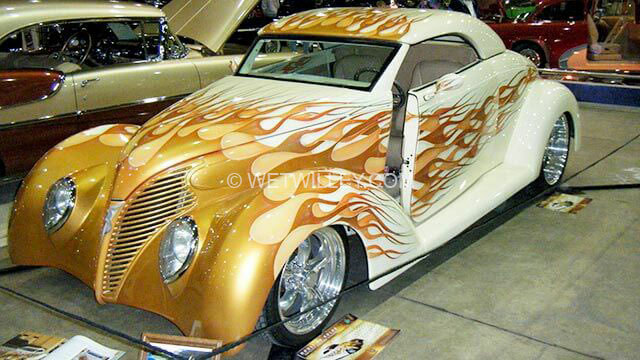 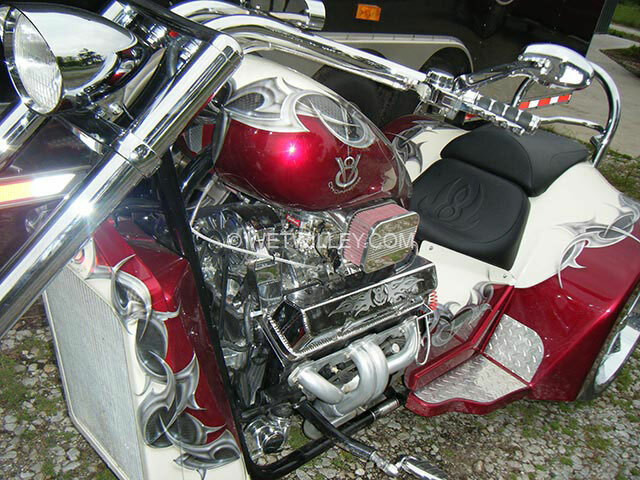 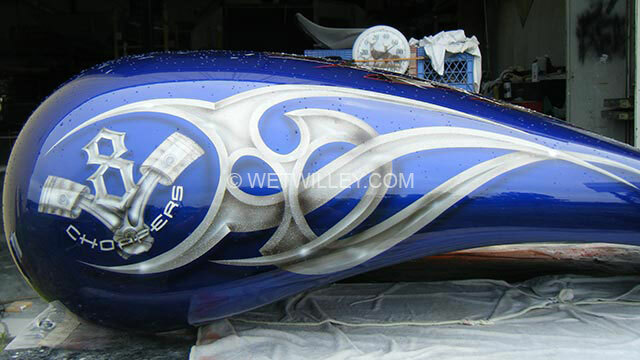 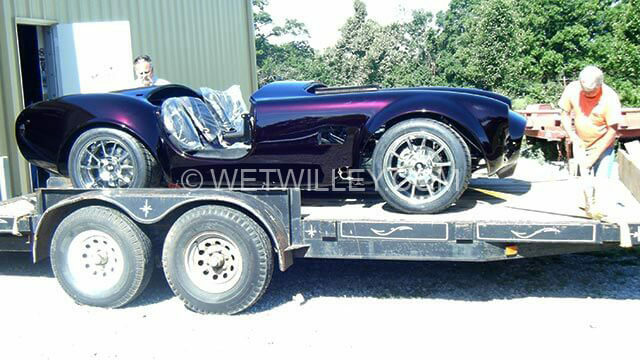 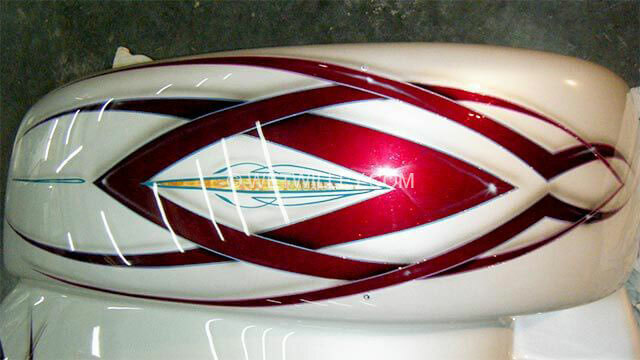 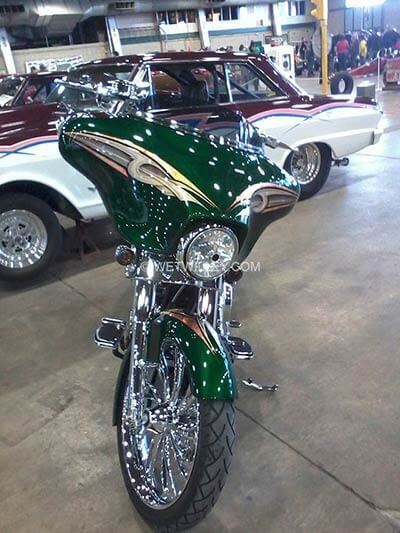 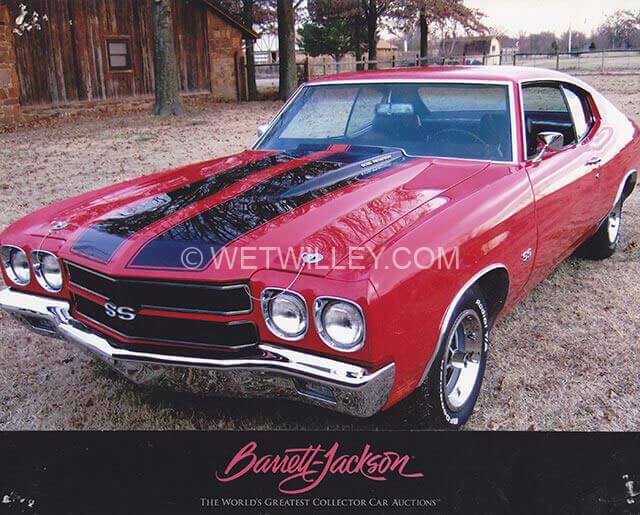 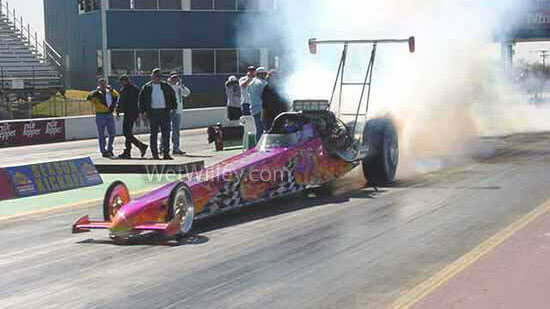 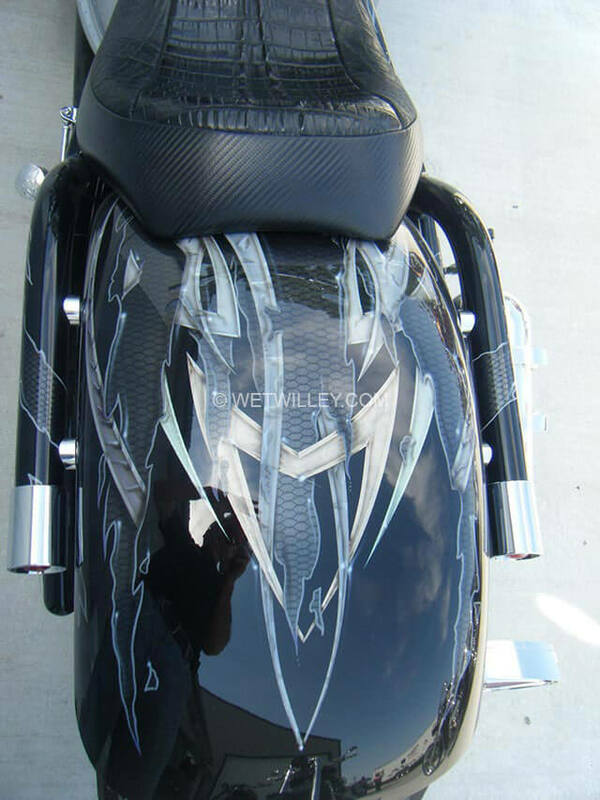 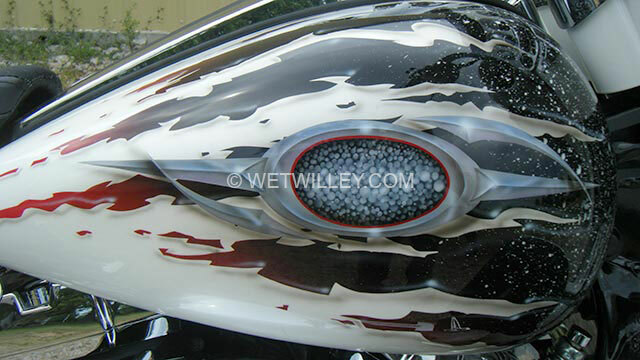 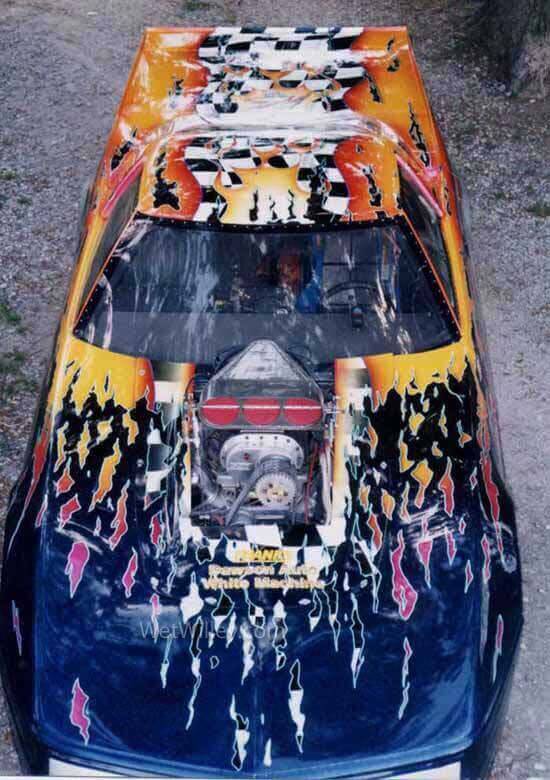 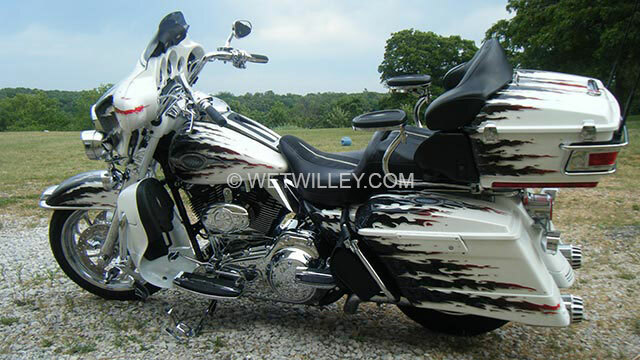 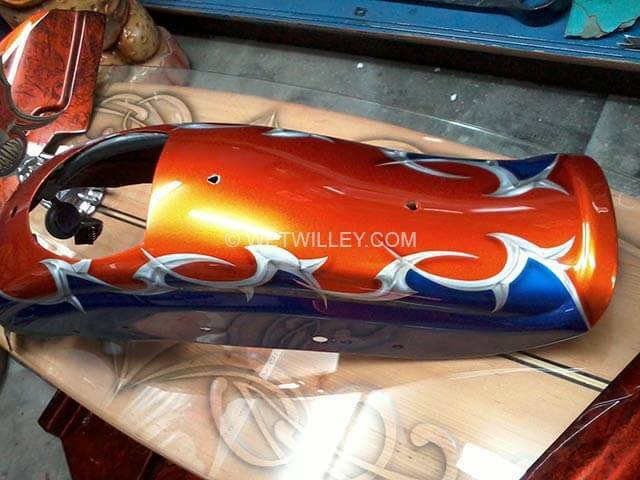 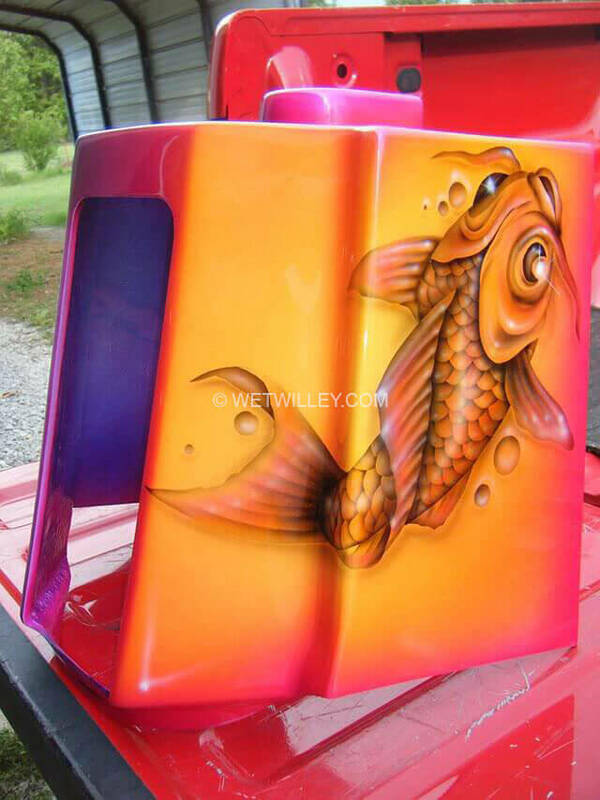 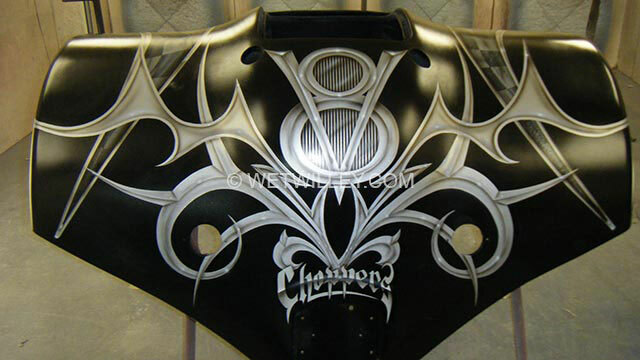 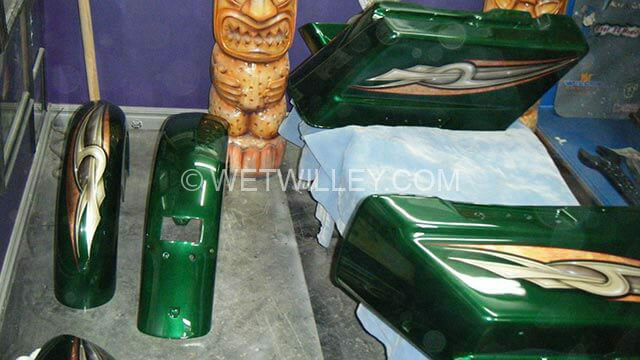 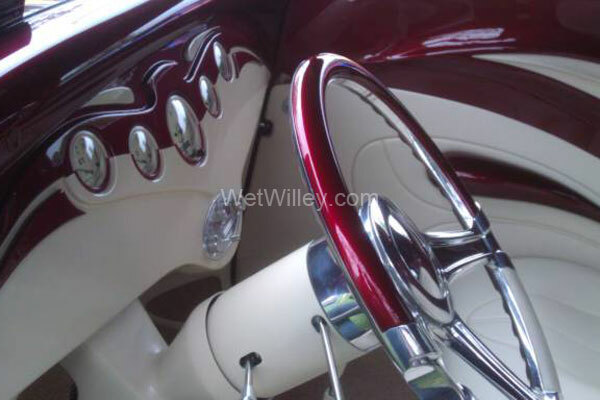 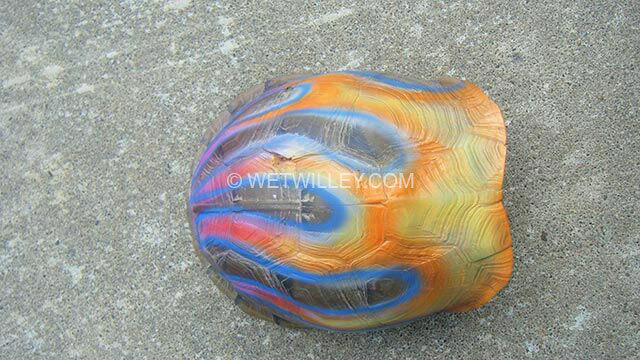 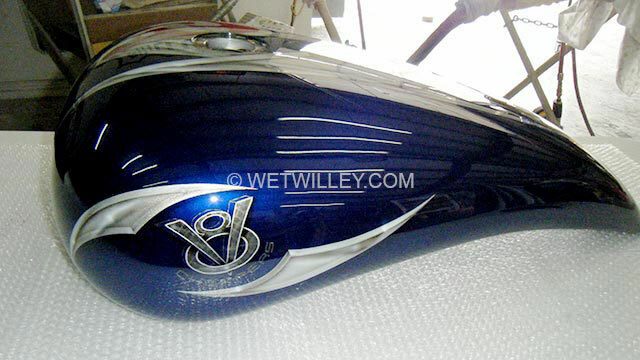 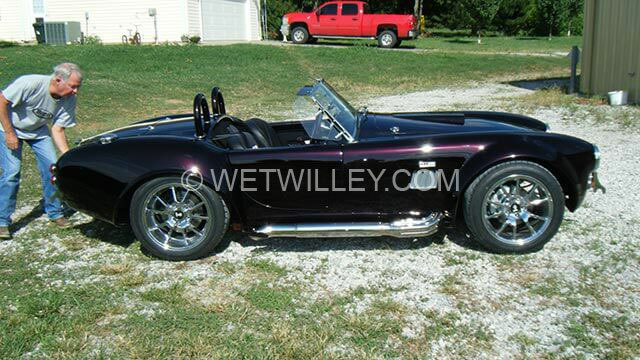 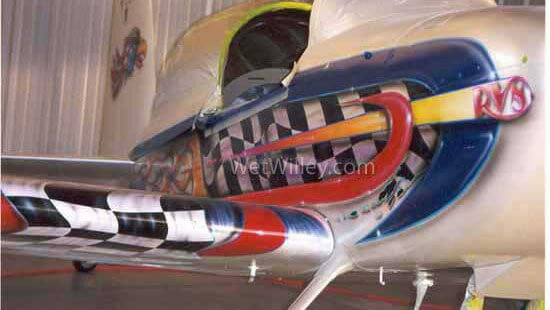 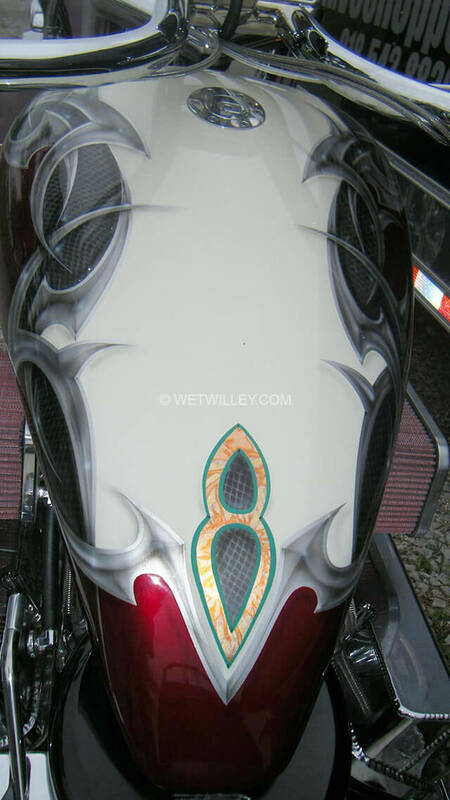 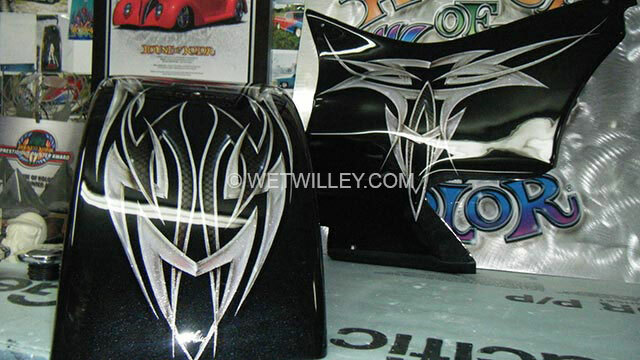 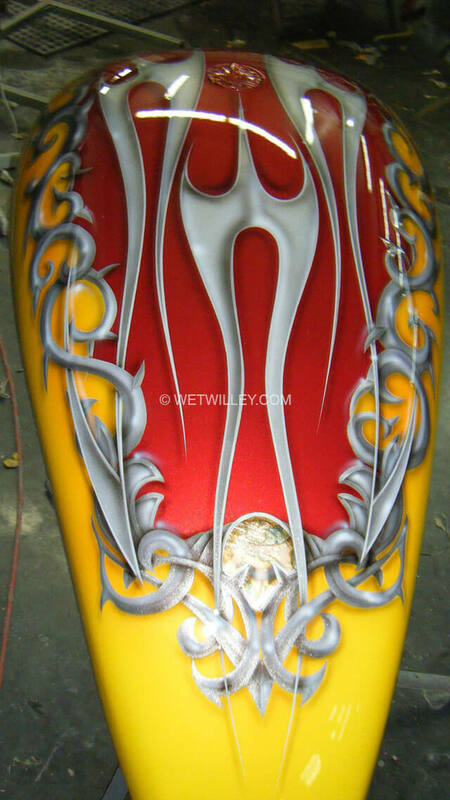 Wet Willey Design is a full-time custom paint and graphic art studio with over 40 years of experience. 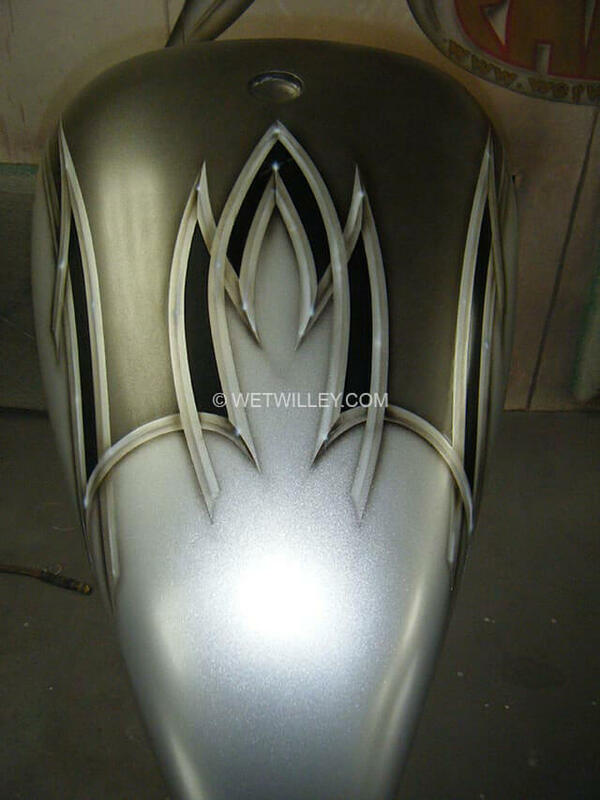 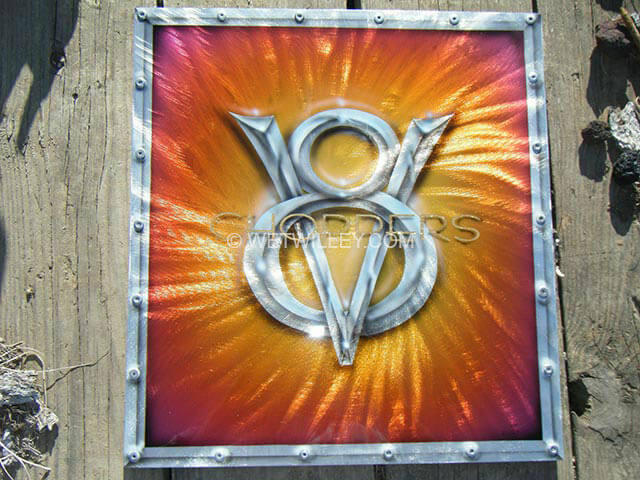 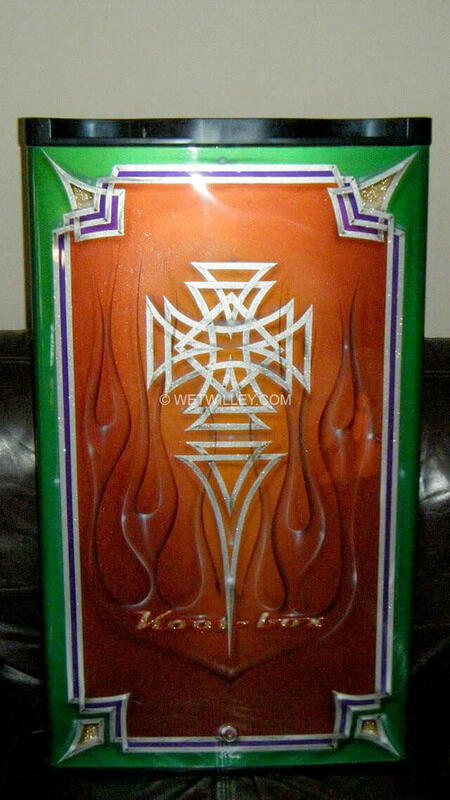 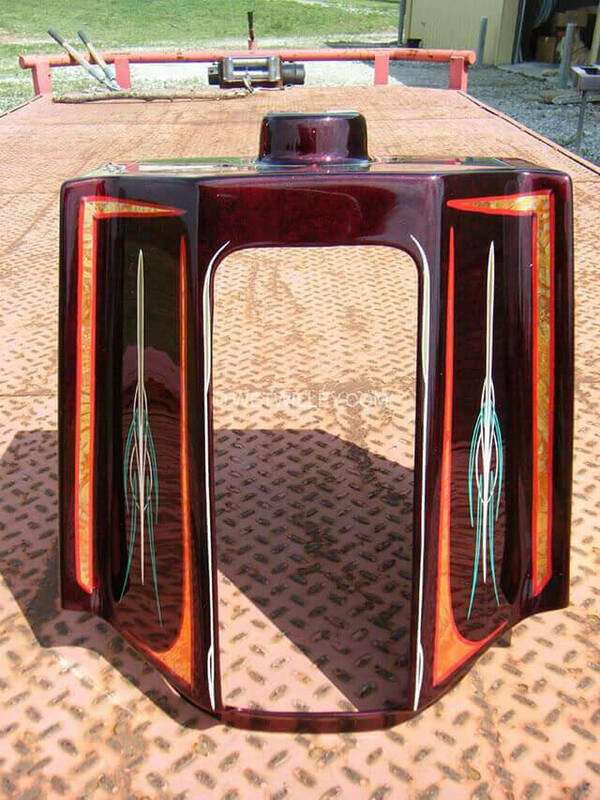 All metal art is done in-house, this way perfection can be achieved. 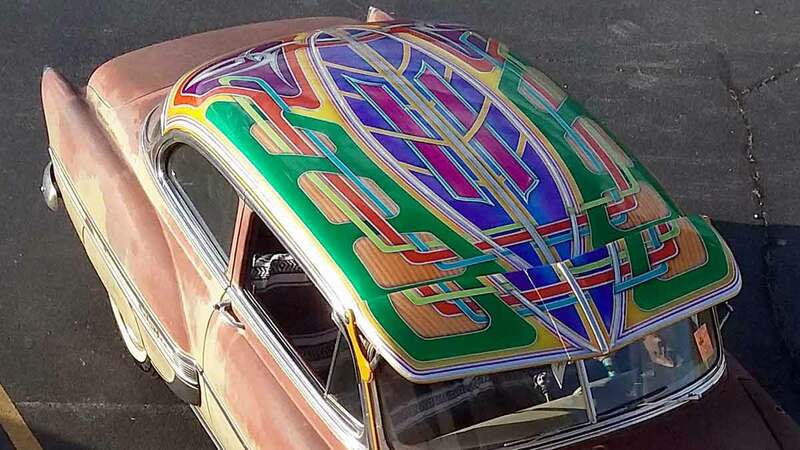 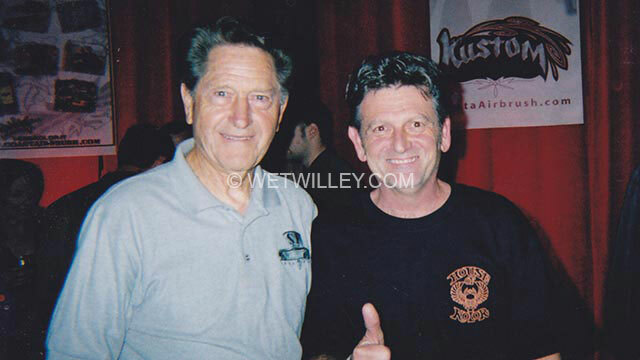 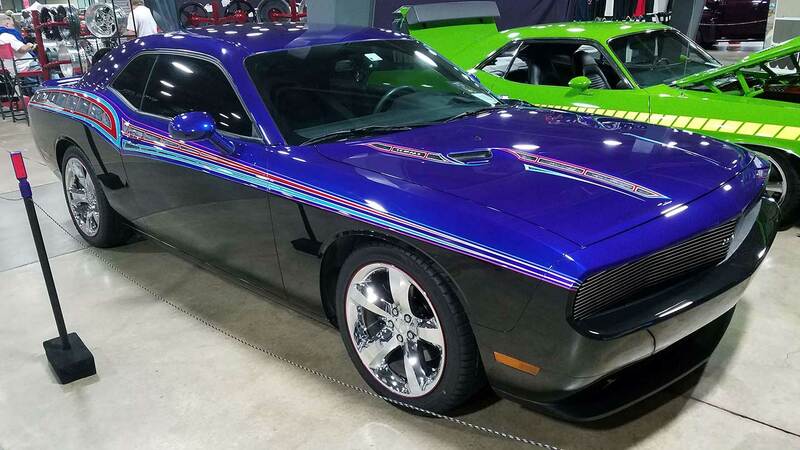 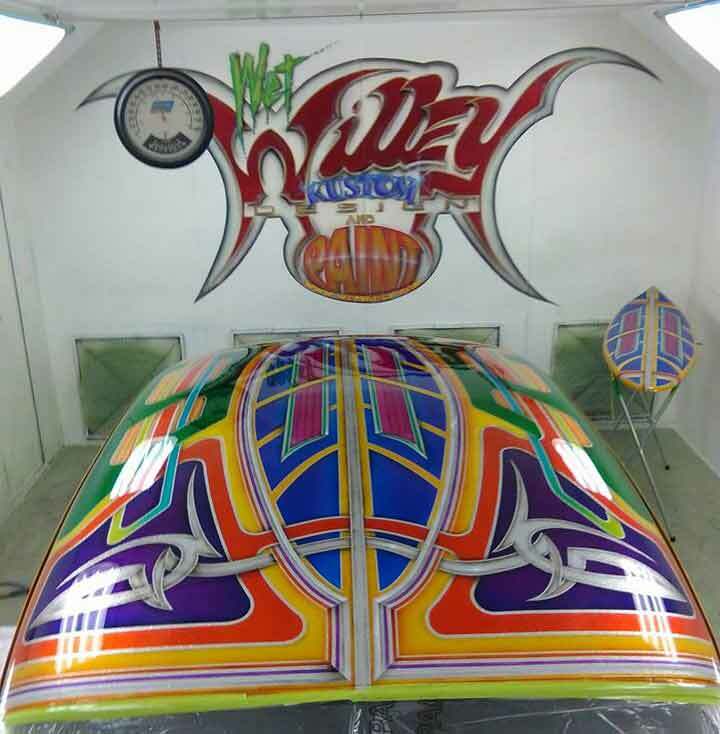 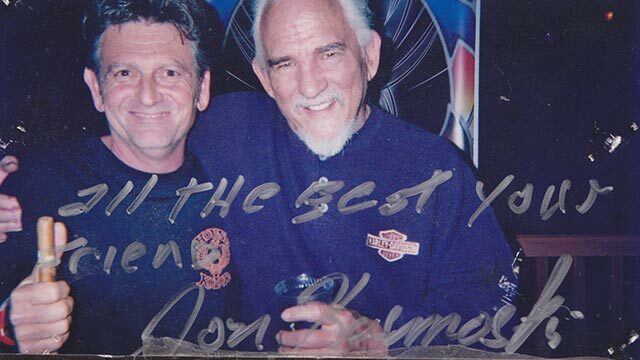 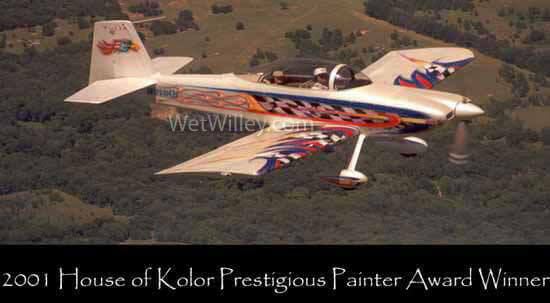 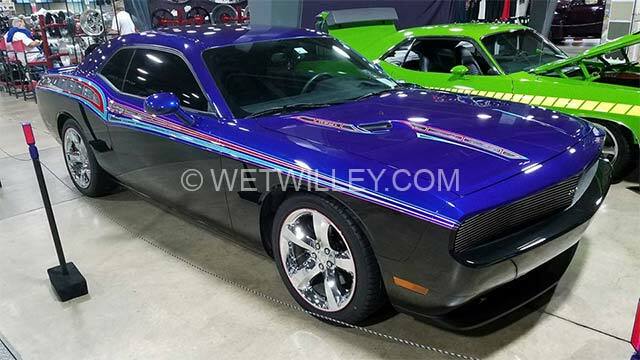 Wet Willey Design has won more than 500 local and national Best Paint & Graphics awards, and Mike ‘Wet’ Willey is the only painter in the world to win 11 consecutive House of Kolor Prestigious Painter of the Year awards. 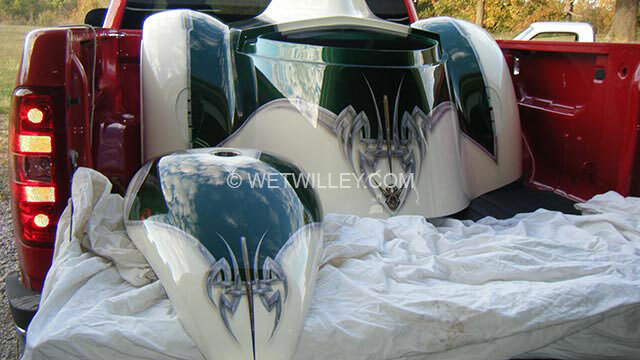 Wet Willey Design offers customers a personal consulation absolutely free. 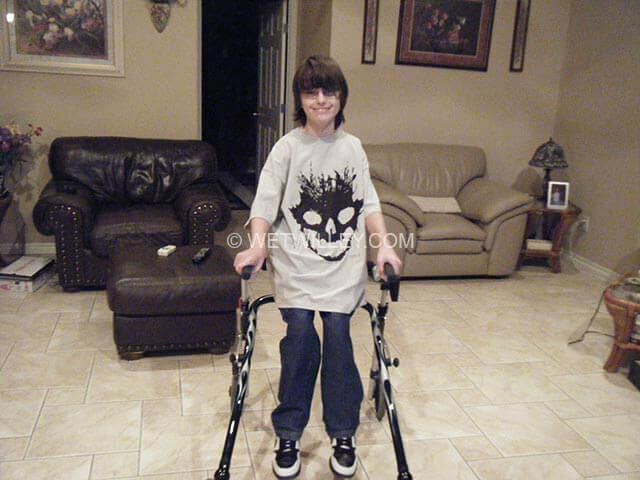 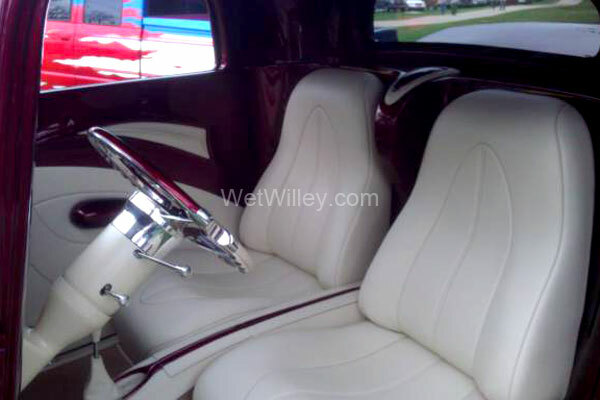 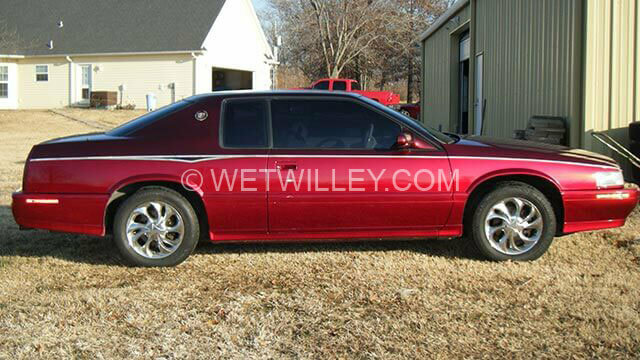 We will discusee what you are wanting; even if you don’t know, Wet Willey will provide his personal assistance and experience to help guide the process. 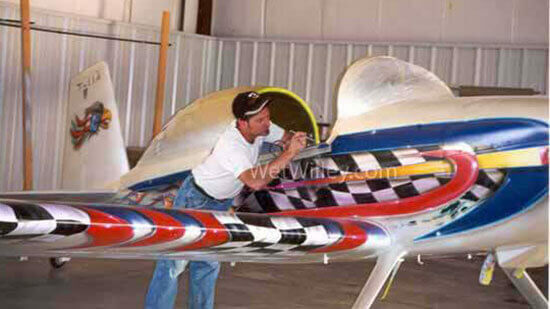 We will figure it out together! 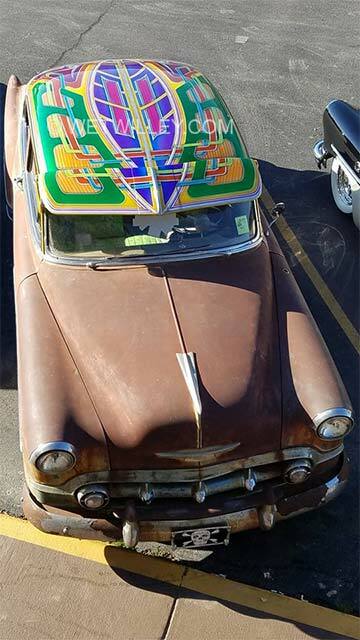 I’m old school. 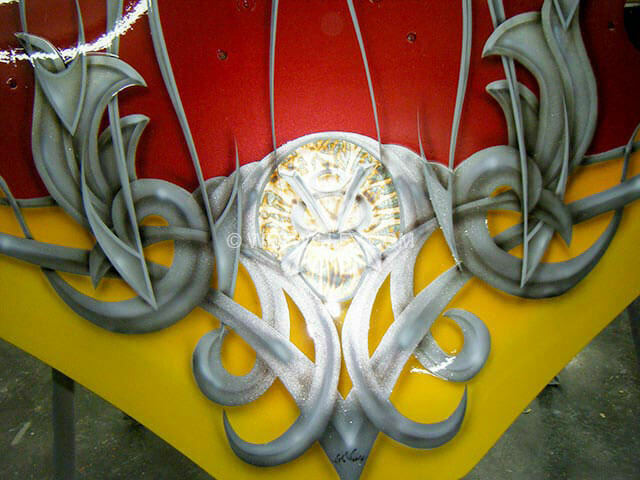 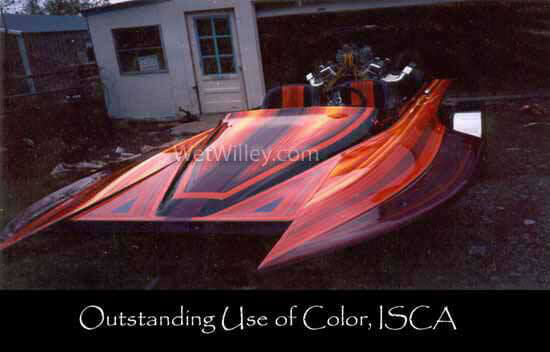  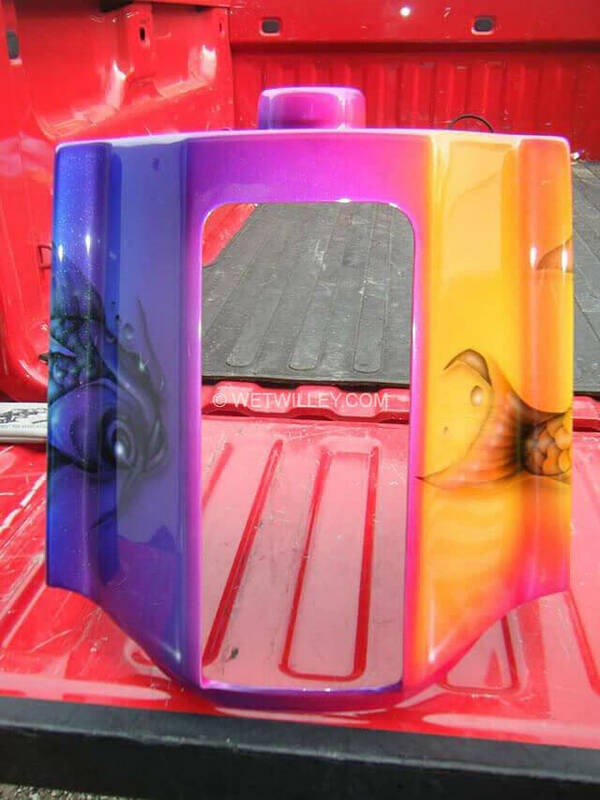 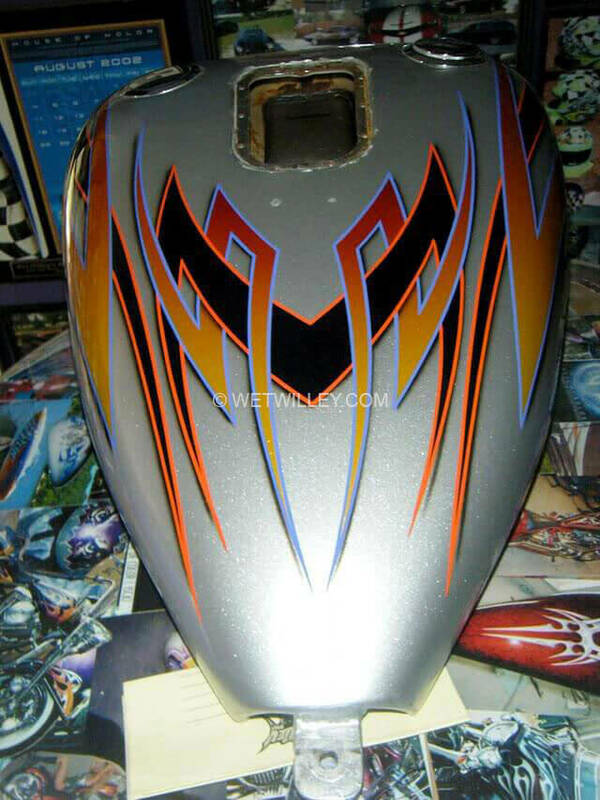 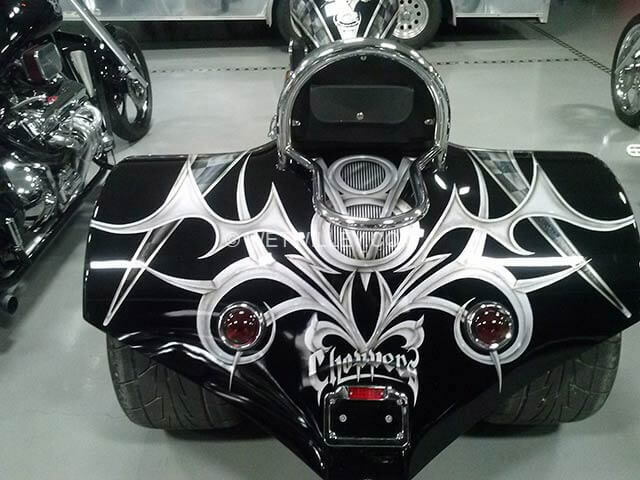 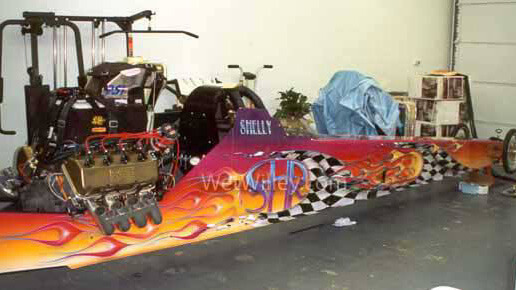 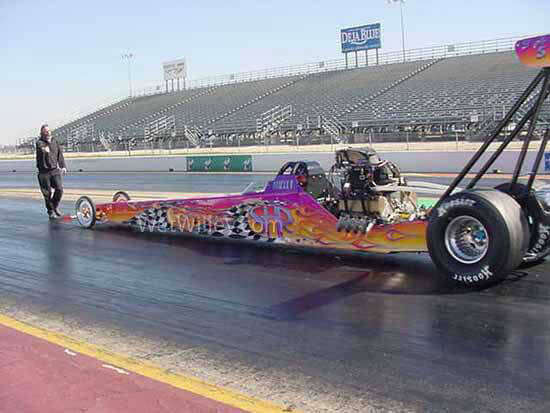 Give me a call at the shop, 918-639-0888. 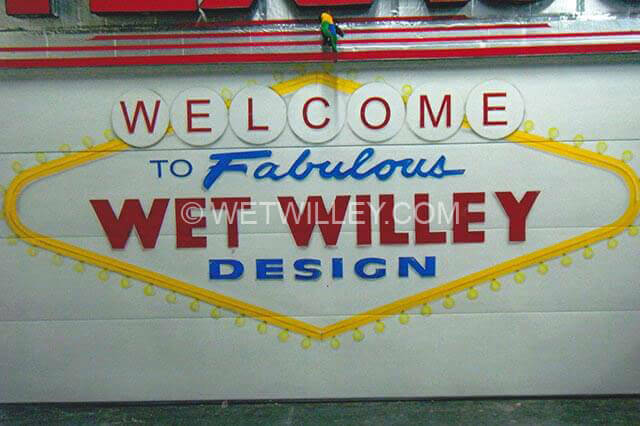 © 2019 WetWilley.com – All content, including images and information, appearing on this website are the exclusive property of WetWilley.com. 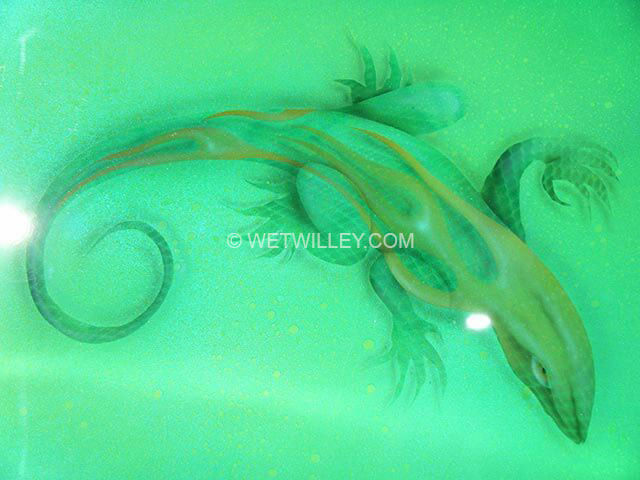 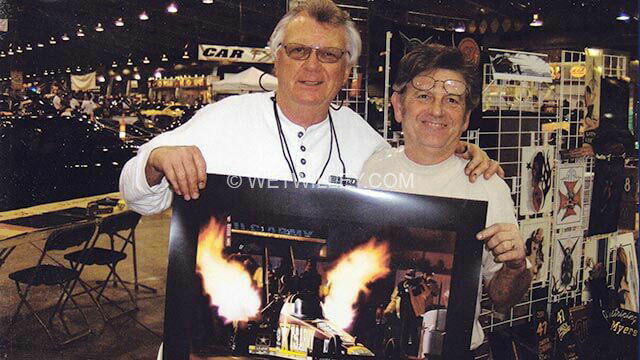 Images may not be reproduced, copied, transmitted or manipulated without the written permission of the owner of WetWilley.com.